Next up we’ll knock out the arms and backpack. 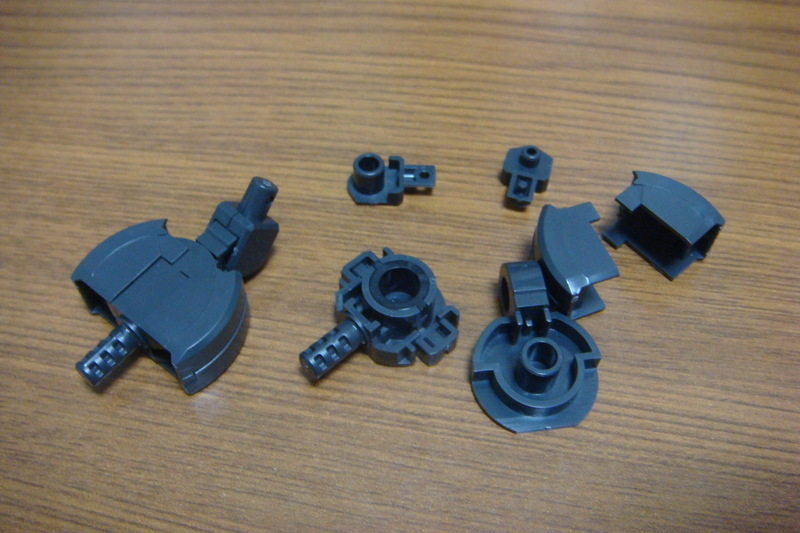 Again following the O ring design, the arms and shoulders feature 3 main “O” parts, where the GN Condensors will fit. The arms, with 2 O ring sections themselve. 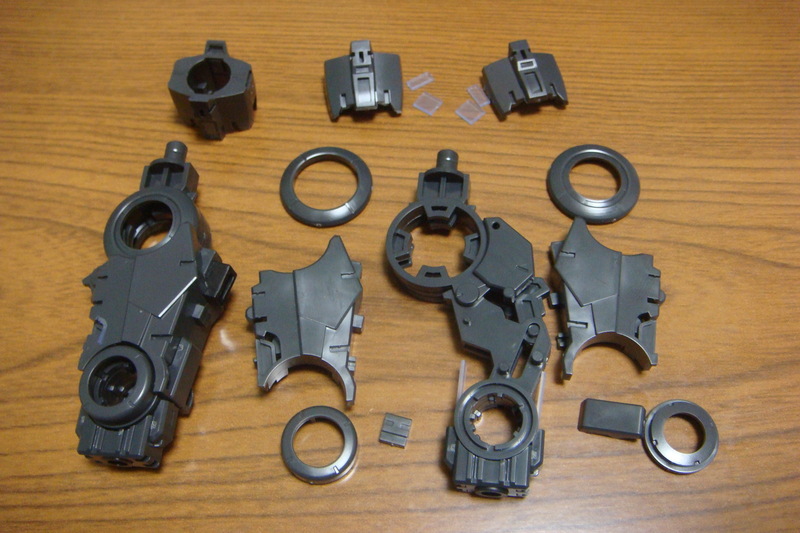 The shoulder joint features the third O ring. The lower arm gets more layering, where as the upper arm is very simple. 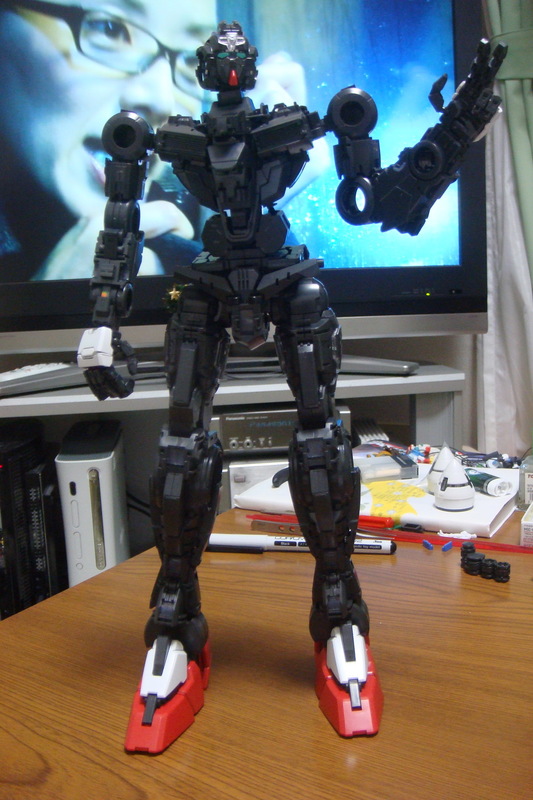 I actually forgot to make the shoulder’s outer armor part at this point, but the completed outer frame at this point. Next we have the hands. 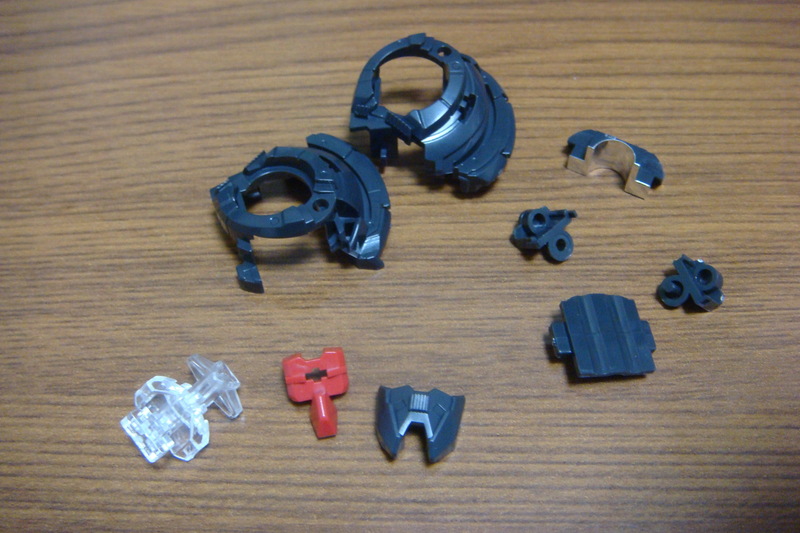 While the PG Astray features a fairly easy snip out and good to go hand design, this time around it’s back to putting them together piece by piece. 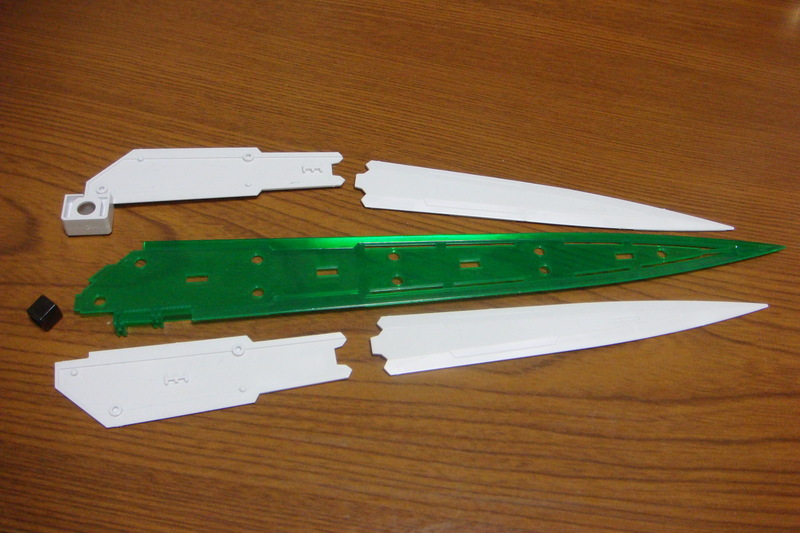 Still the runner makes it easy, just snip in order for each finger and put together. And the hands are done. 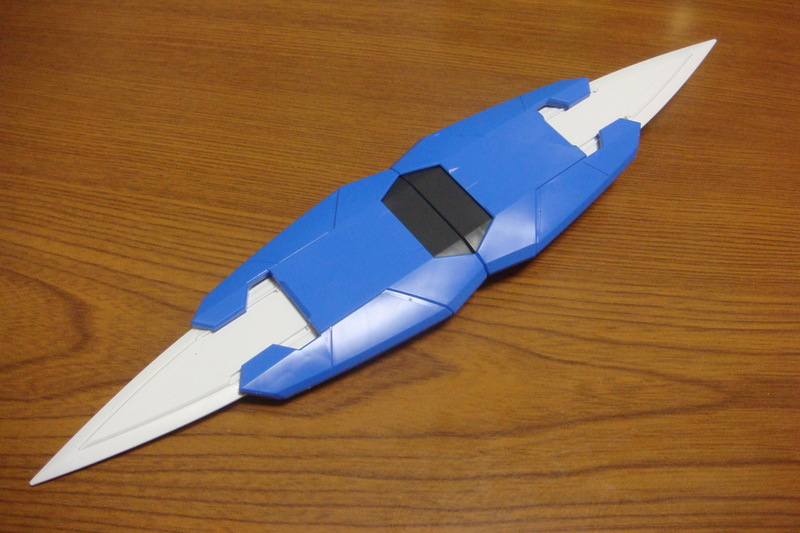 And the main body is completely done. 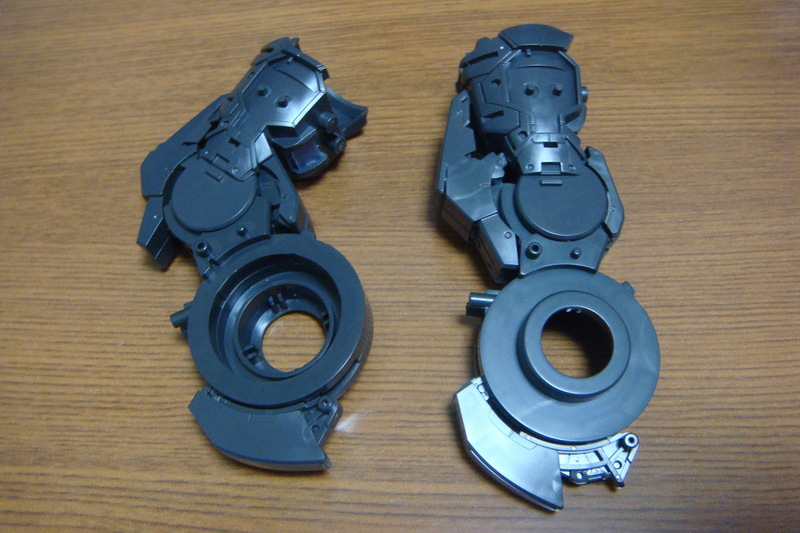 Again, you can see how the 00 Gundam follows the Exia design, featuring a latching clamp system despite there being no GN Reactor to go in the torso. 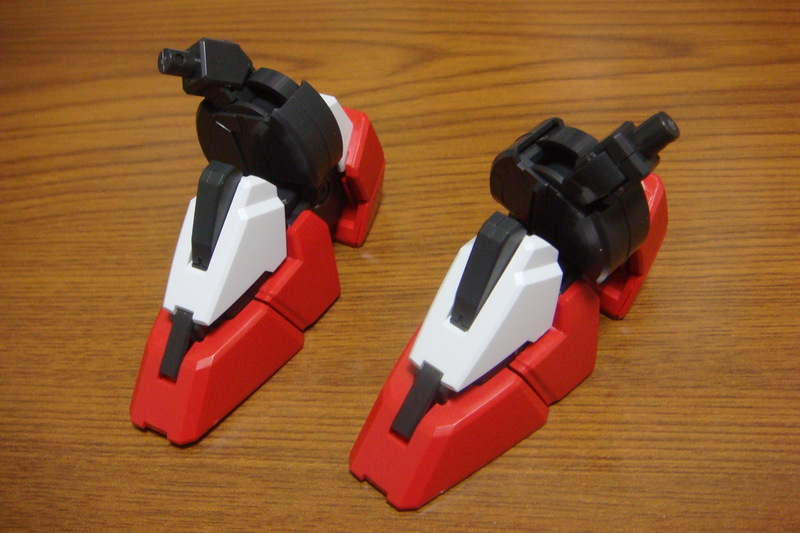 Next up we’ll take a look at the backpack, which really serves no purpose except to hold the GN drives. Looking at the design, it has two thrusters, but when you think about the power that dual GN drives are supposed to output, two thrusters seems a little… well lonely and unfit to handle the job. 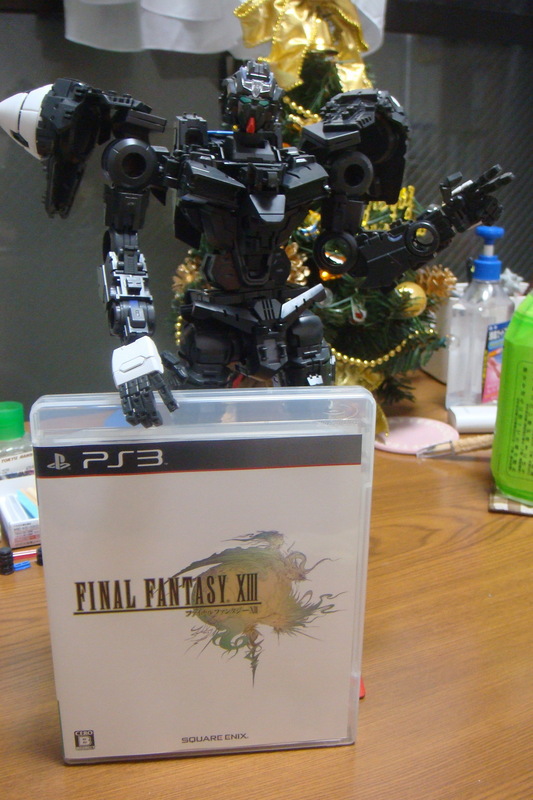 First the actual GN Drive holder. The part which connects the drive the backpackld. 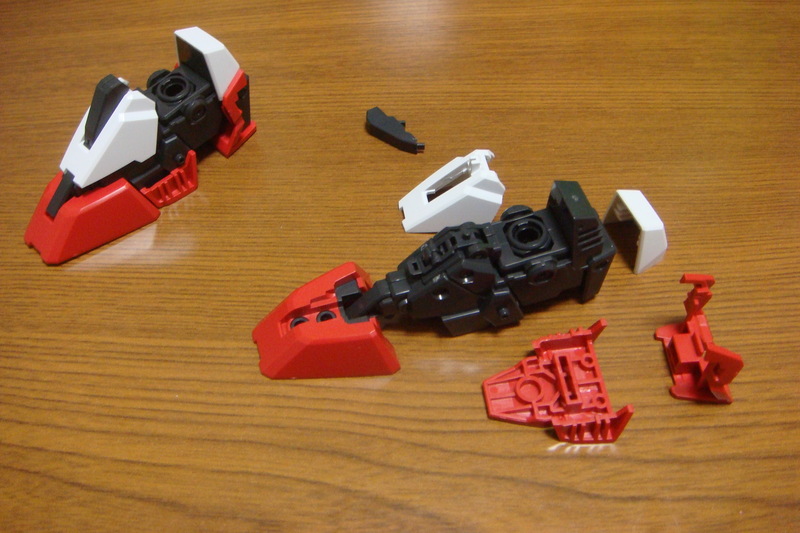 You’re able to rotate the drives around. The backpack is incredibly simple. Again, do two thrusters really handle all this ouput? 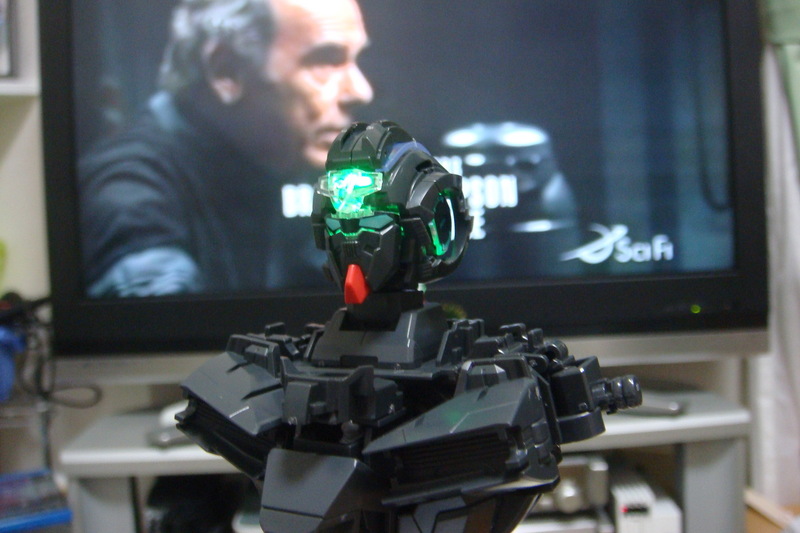 Attached to the 0 Gundam. 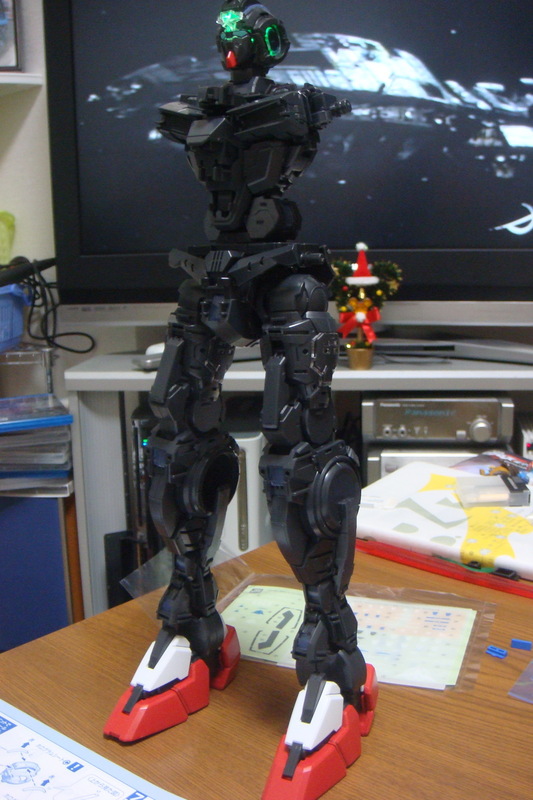 With this, the inner frame is done. 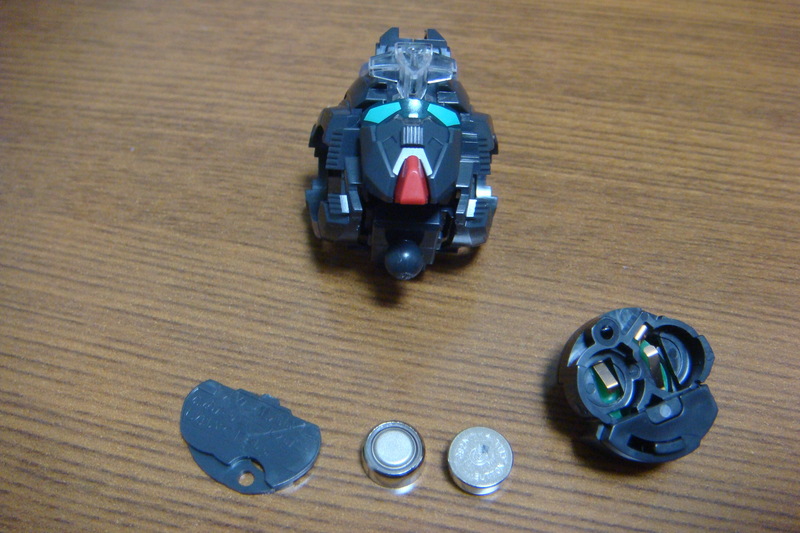 What’s left is the condensors and the outer armor. For the most part the arms were no problem. The shoulder connecter has a rather troublesome hologram strip that really doesn’t want to stay in place. Add in the fact that the it’s a really tight fit when connecting to the main body adds a little frustration. You need to use some power to push it onto the joint, which tends to make the hologram strip pop out. Again, the backpack is there to serve one purpose, which it does well. So the next order of action will be to do the outer armor, which I plan on panel lining, and top coating before I move onto the GN condensors, as those come with clear parts and stickers. We’re near the end! 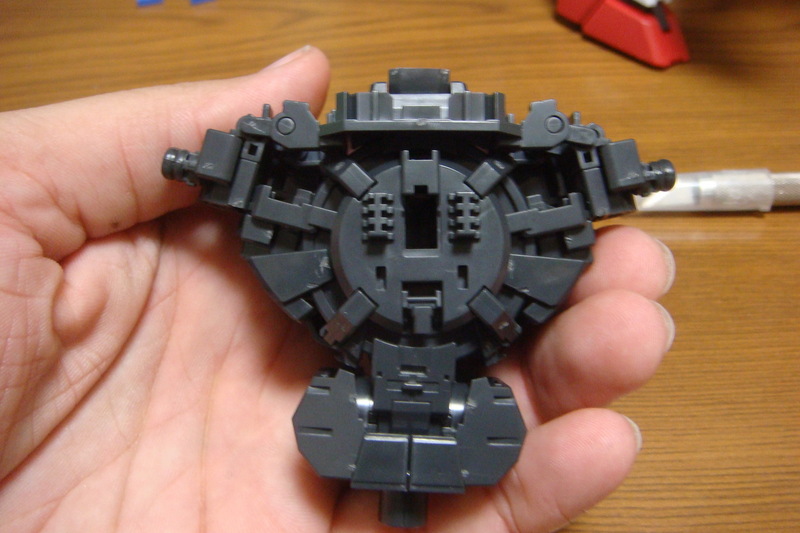 Continuing with the build after a slight delay, we move onto the torso and head. 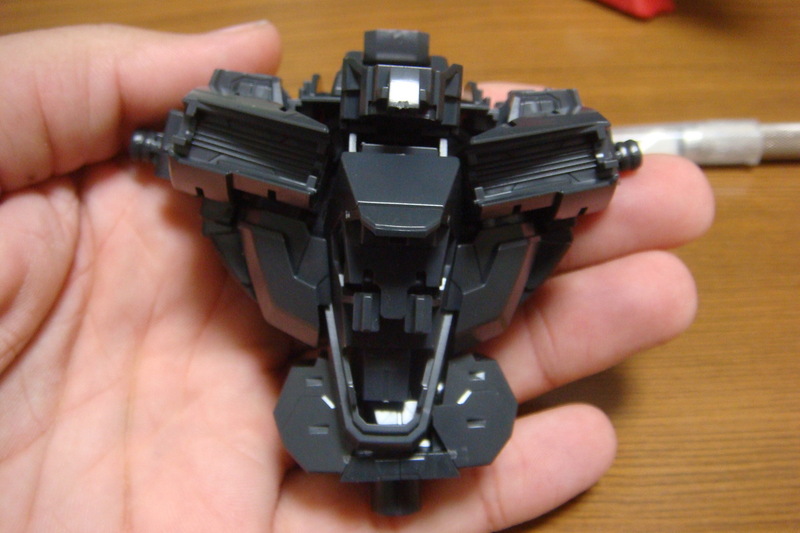 The torso here follows the O ring style like the Exia, and comes down to building “around the ring” so to say, and shoving the cockpit in the middle. 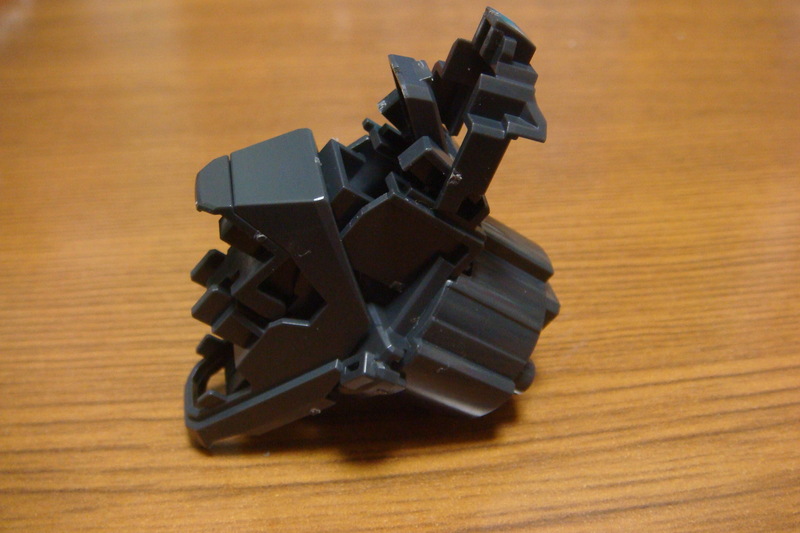 The head itself is also similar to Exia so nothing special there. 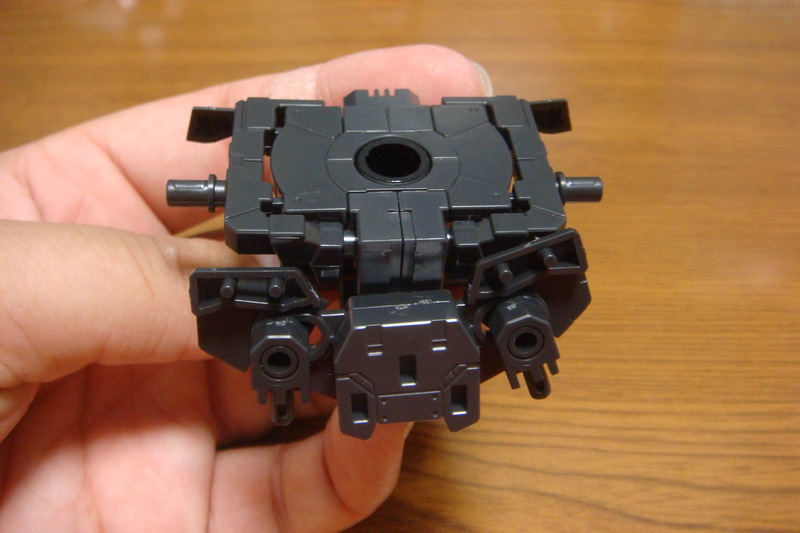 Anyways, let’s get on with the build of the torso. 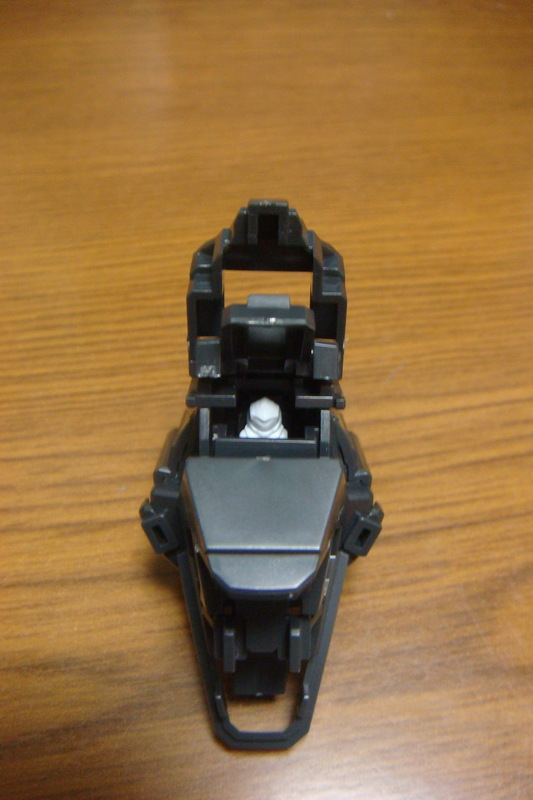 Fairly standard cockpit which will slide in the middle of the torso. The cockpit from the side. 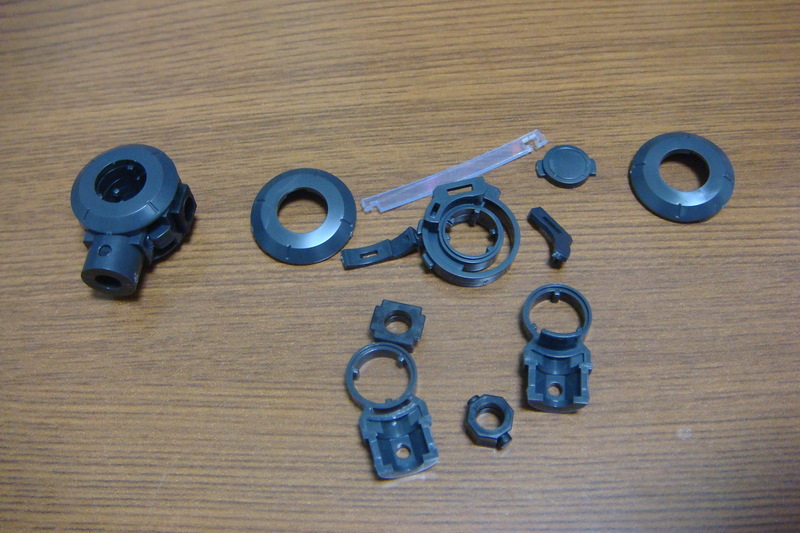 The shoulder join fits into a ring style that will be attached to the O ring. 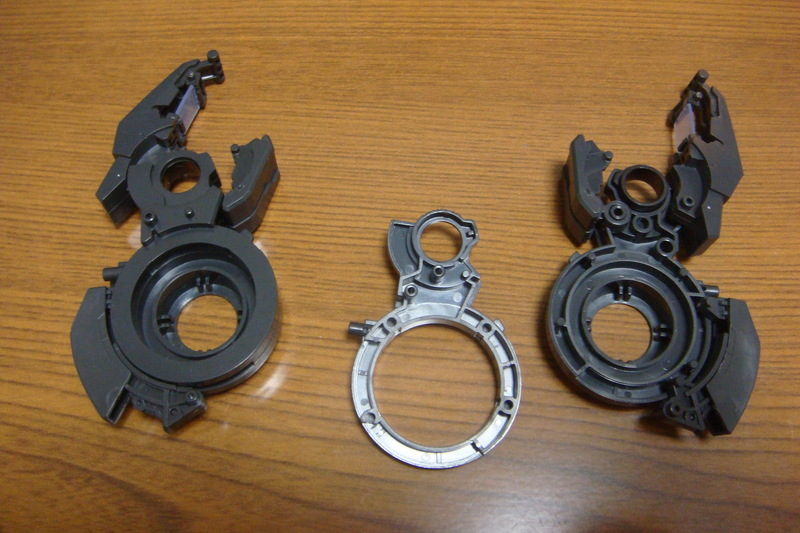 The 0 ring, which the shoulder parts put it. 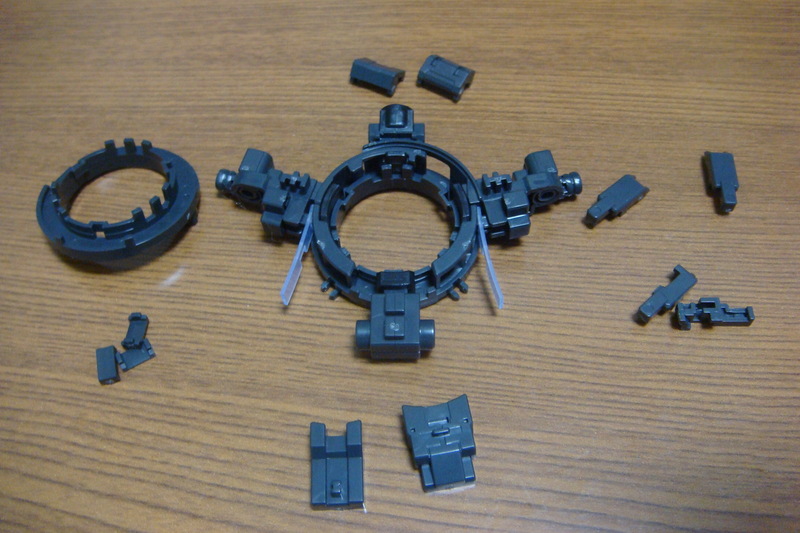 After putting in the top ring the various parts will “lock” it together. Here we stick the cockpit in the middle and lock with the hatch on the back. 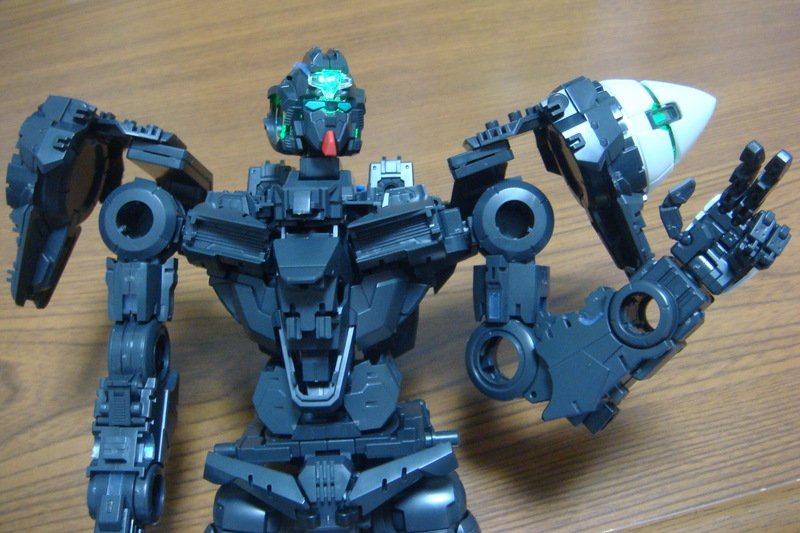 Seriously makes you think there should be a GN reactor there like Exia. Again more hologram strips are used, but unfortunately you won’t be able to see most of them after the outer armor. Putting on more stuff to layer around the O ring. 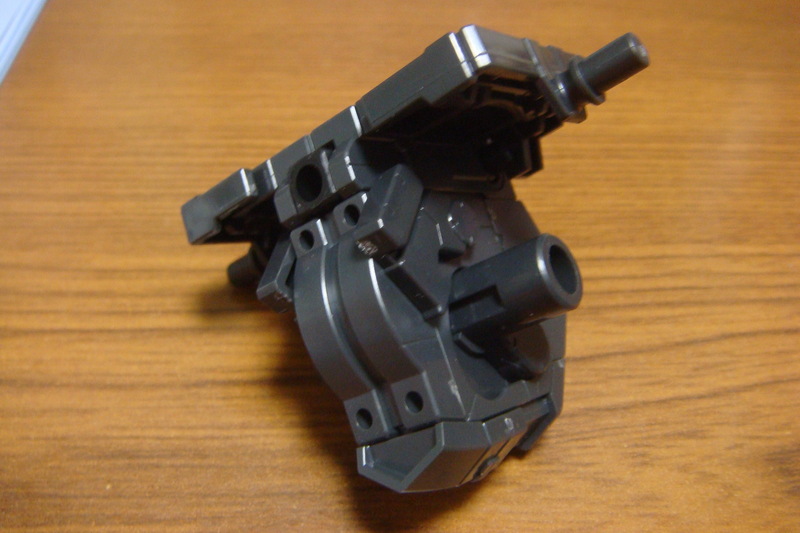 Last thing is to put on the upper chest armor can move out at an angle slightly. 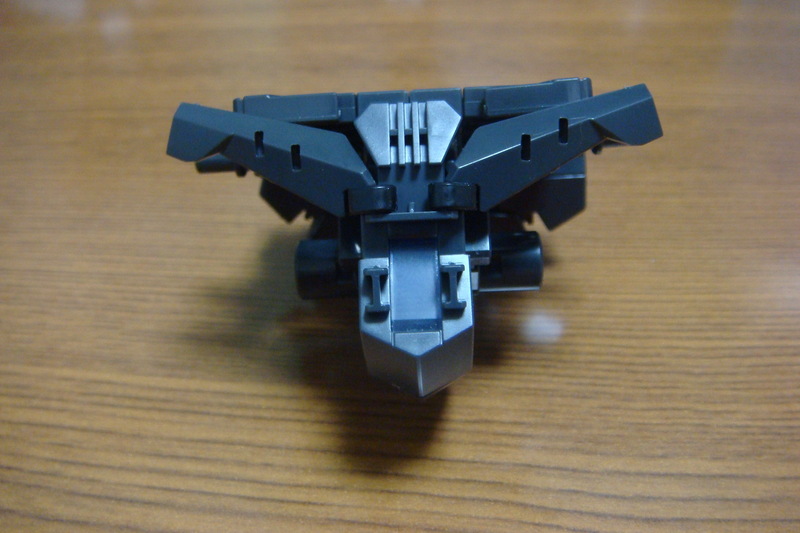 The head, which will be a fairly standard build. 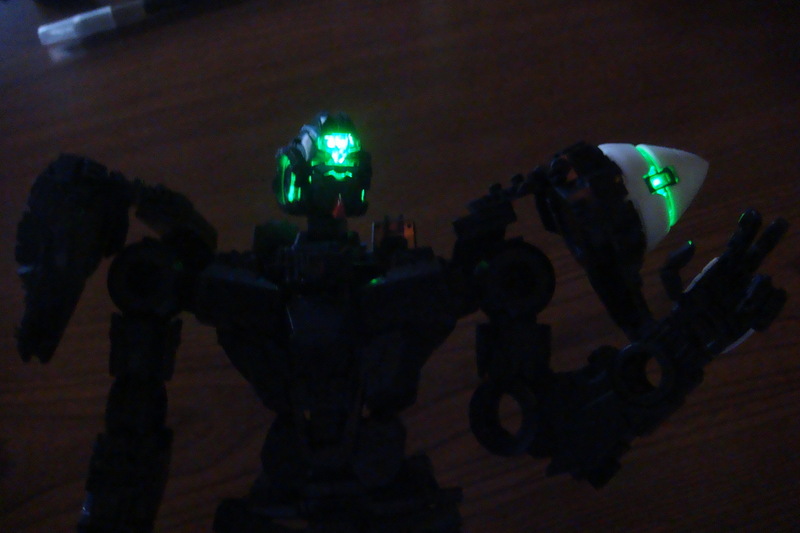 I’ll be painting the eyes clear green, but for the time being, using the sticker. 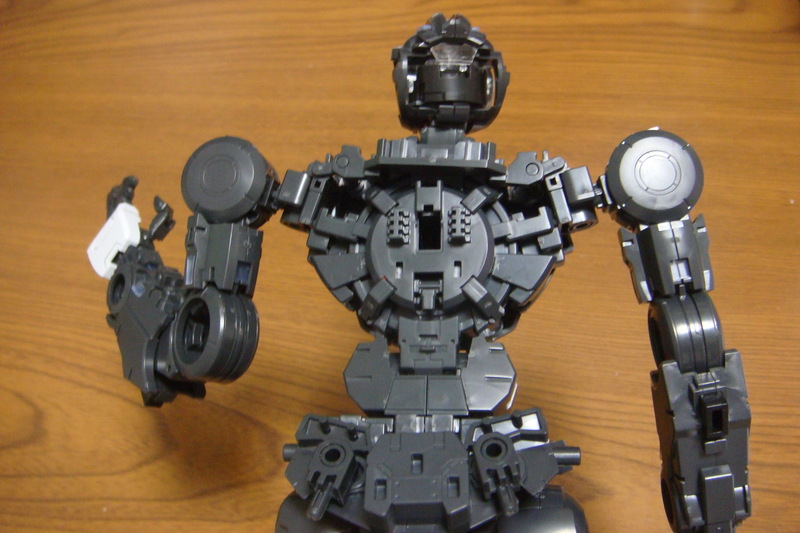 The torso is an interesting build, being based around the O ring design. 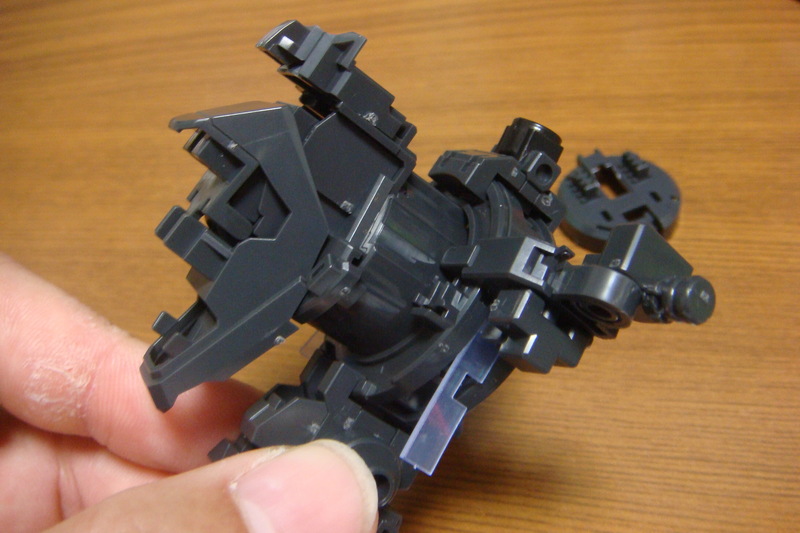 In a way it’s fairly refreshing, since most Gundams aside from the Zeta line tend to follow the same style of design/build regardless of series. On the head, it’s kind of suprising that they give you a sticker to cover the eyes rather than a clear green part like past PG kits. One thing I am not liking is that there is an abundance of hologram strips. 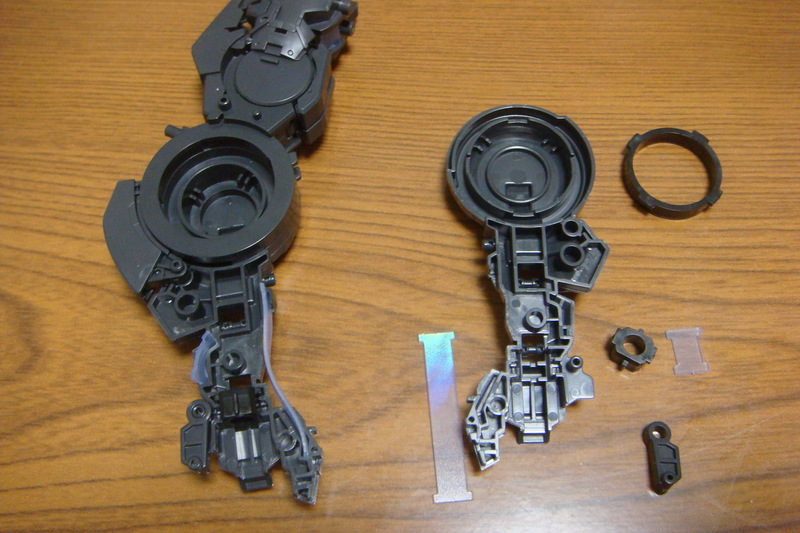 I guess it goes with the idea of having a fully detailed inner frame, but there are some parts that you simply not will seem them. I guess it’s the whole “if a tree falls over a forest and no one hears it does it a make a sound” way of thinking though. 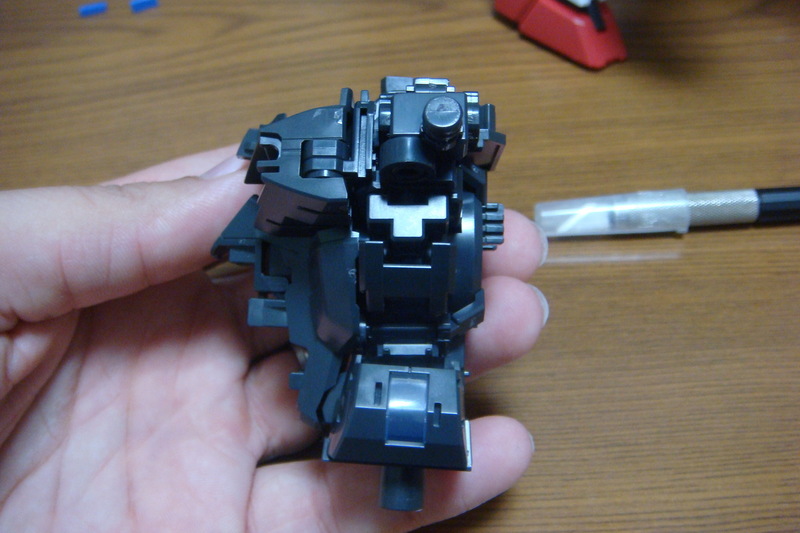 The next post will cover the arms, and move onto the backpack, which will finish up the inner frame build. The build is coming along nicely, but it’s been halted by a sudden intrusion. I am building it between times of when I have to give up the TV. Will be catching up on posts this week as well! Knocked out quite a bit of this kit over the weekend. 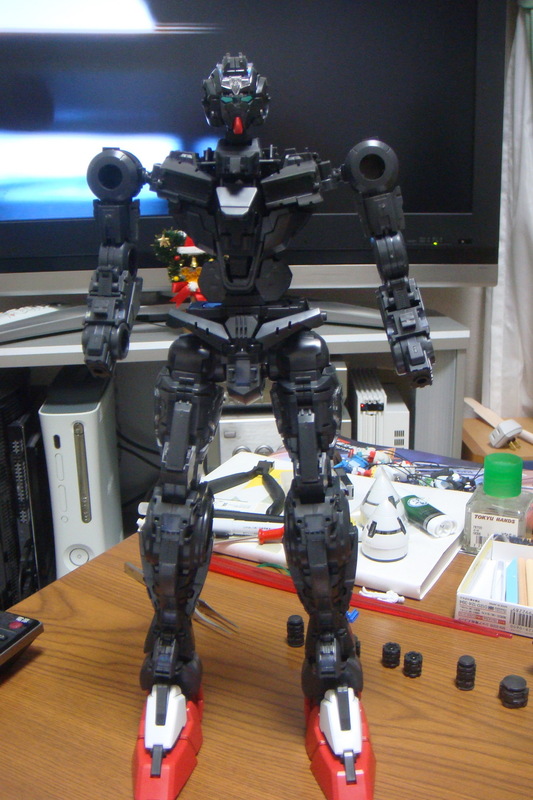 After I built the feet, I decided to build the entire inner frame first, and then will go back to do the outer armor. I’ve decided that I’ll panel line, decal, and top coat (flat) the 00 Gundam itself. The main problem is that there are quite a bit of stickers and clear parts for the GN Condensers so I’m going to have to leave those off to top coat then add later. 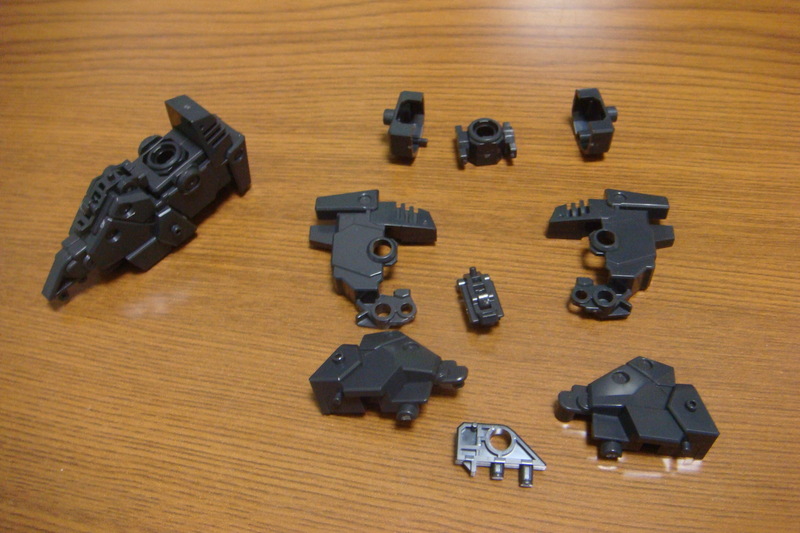 Also, the decals that the kit come with are of the dry transfer type, while I’m not against dry transfer, I had a fairly good experience with the water slides for the Sinanju, so I’m debating picking up the water slides of the 00 and using them here too. The only thing is that I’m not sure when they’ll be available, and that they are split among two releases, so that means 600 yen extra to get both. 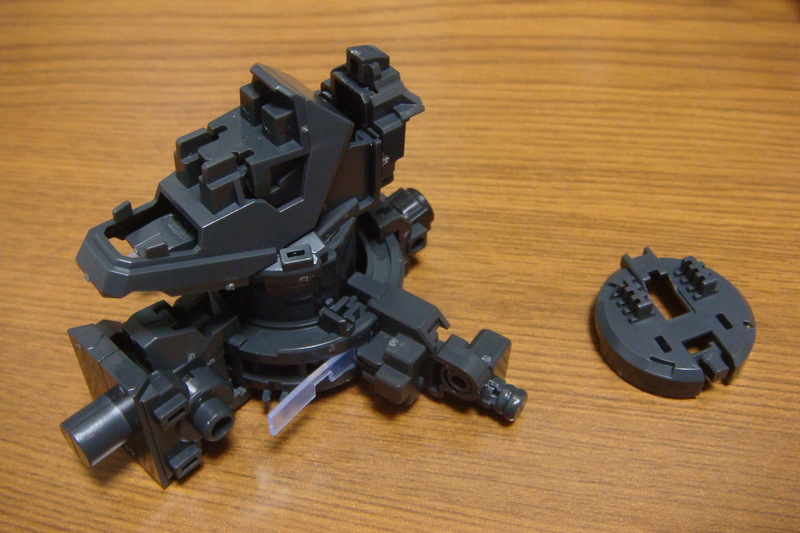 Bandai sure is milking this kit for what it’s worth. 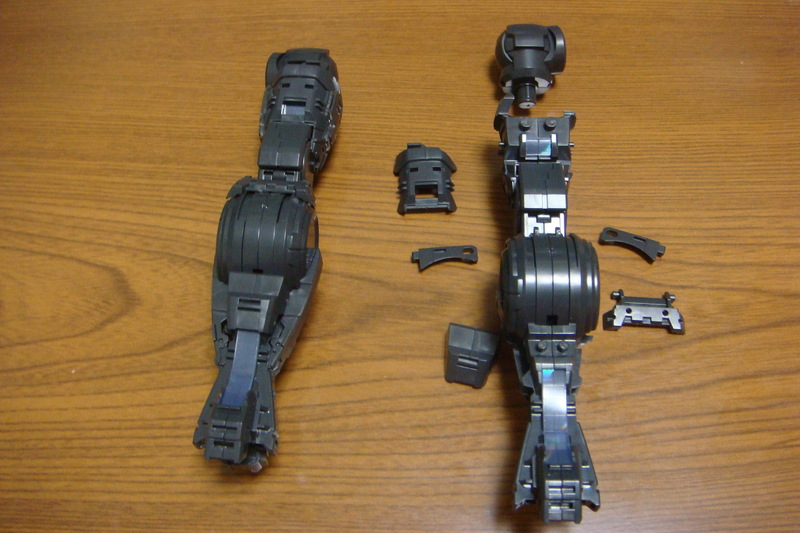 Anyways, let’s get to the first build, the feet. 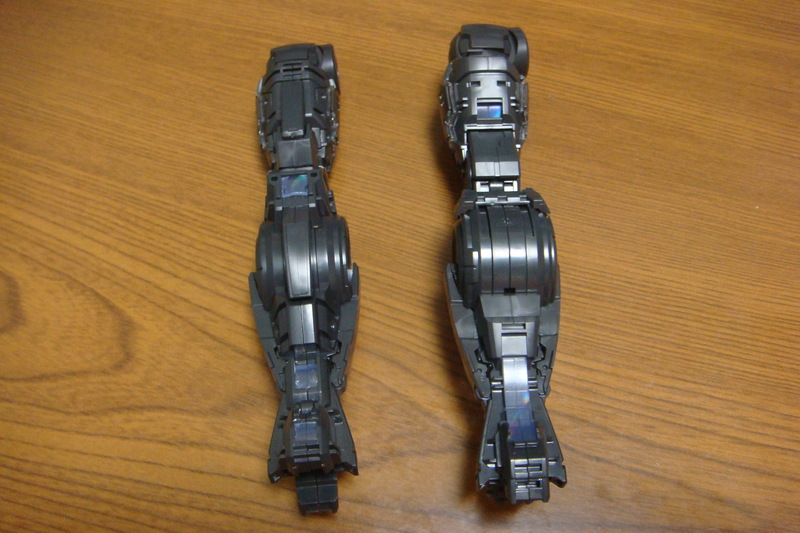 The feet here really remind you that you’re not building a 1/44, or 1/100, but a monsterous 1/60. 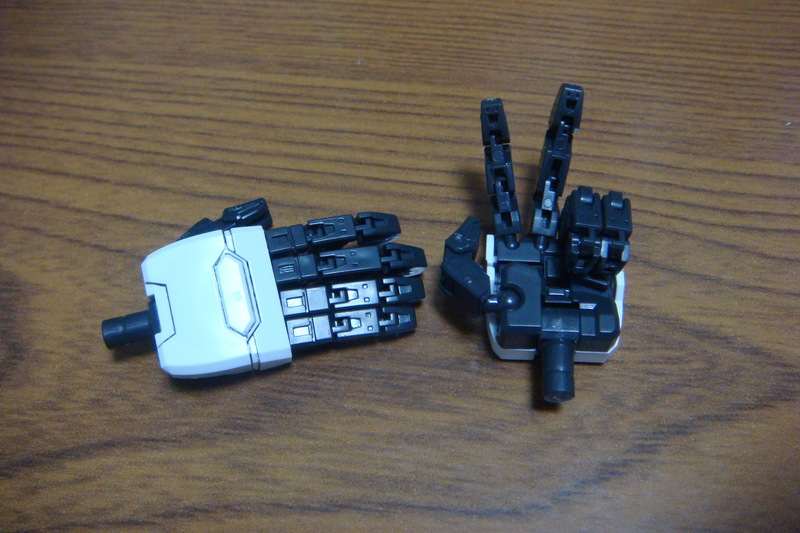 The design here follows the MG Exia in that you have three areas of movement, but one ups it with some pretty amazing movement in the ankle. 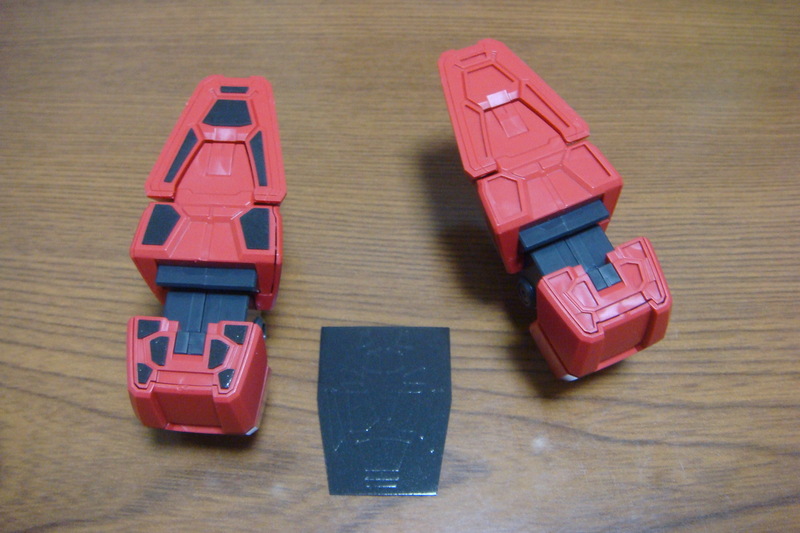 Add in the rubber soles, which was a great innovation brought to the line by the PG Astray, and you’ve got a very solid base to start with. 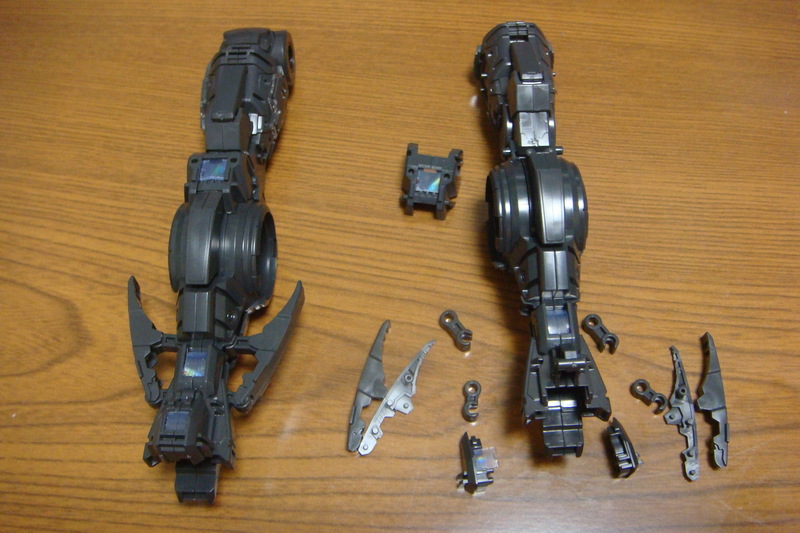 The internal bits of the feet. Putting on the outer armor. The rubber strips for grip, a great idea. 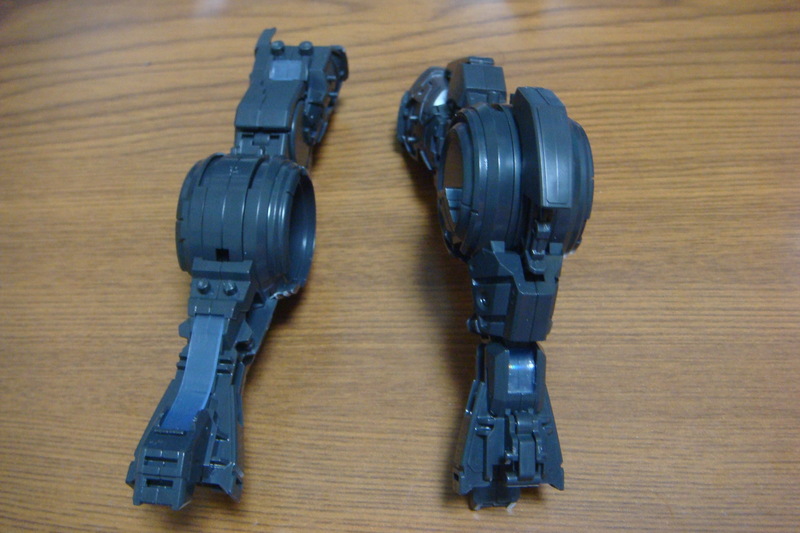 The ankle joint, full of side and front/bank movement. And feet done, sweet and simple. 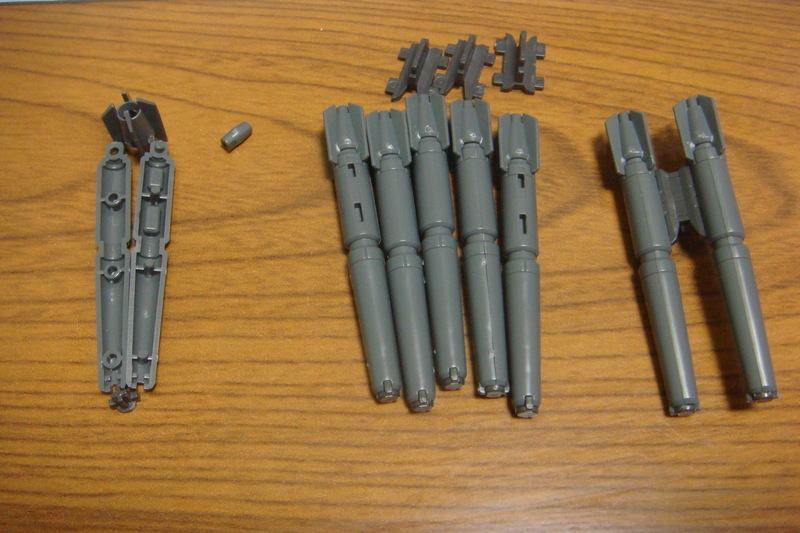 So now we move into the legs, I actually haven’t built the GN condensers yet, figured I see how it looks beforehand. 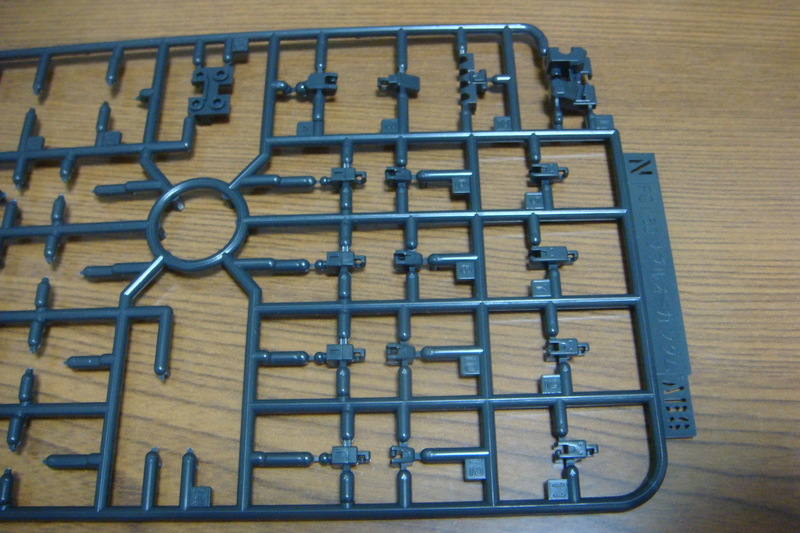 One major thing about this kit, is the use of the O shape. 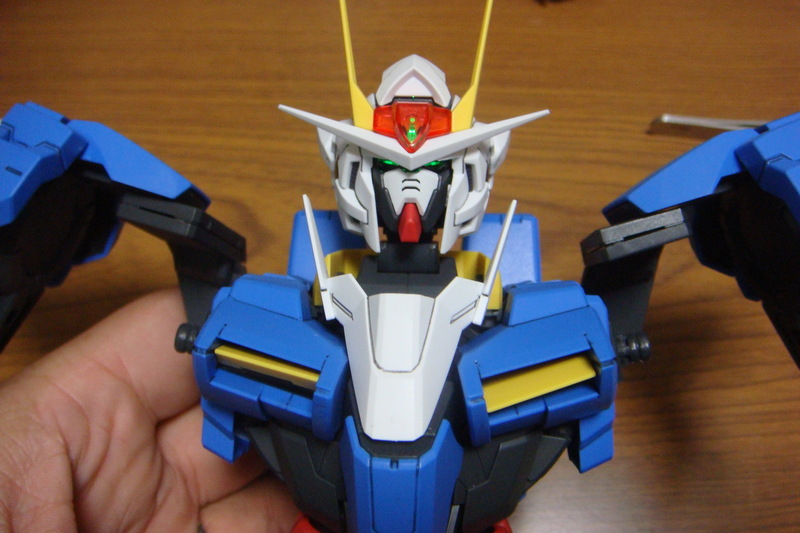 It makes sense of course, considering it’s the 00 Gundam which bases its lineage on Exia and the 0 Gundam itself, but there is a lot of “O” area’s. The biggest area of course being the knee area, and when you stop to think about it, it’s fairly unique. 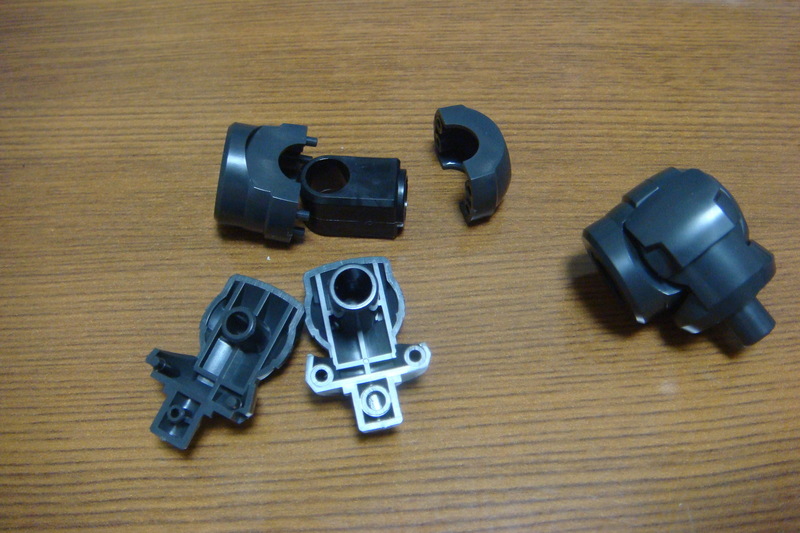 Most Gundams go with the simple knee with piston’s etc. A large amount of hologram strips are used here, even though it looks like a majority of them won’t even be visible. Guess you get the satisfaction of knowing you put them there though. First off, starting on the upper thigh to knee area. Connecting it to the gigantic O ringers which serve as the knee area. Fleshing out the upper thigh so to say. 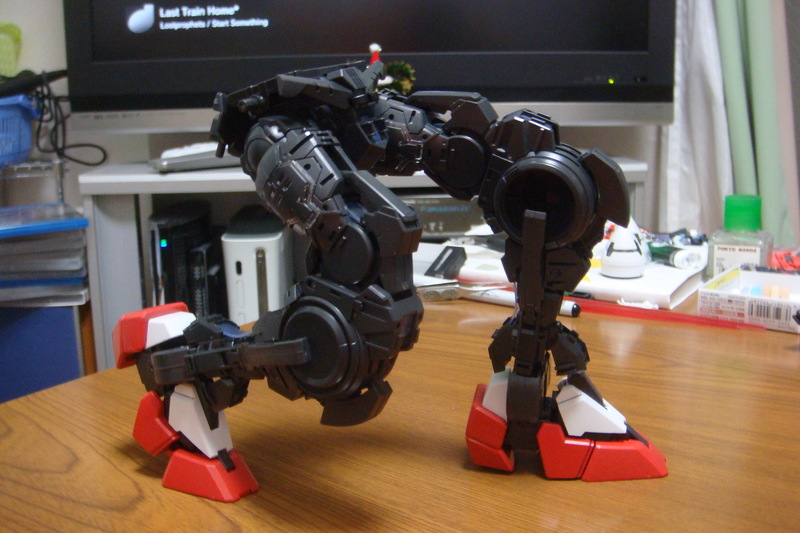 The upper thigh is very sturdy, and “clicks” as you move it back. Moving onto the lower part of the lag, which uses more hologram strips as you see. 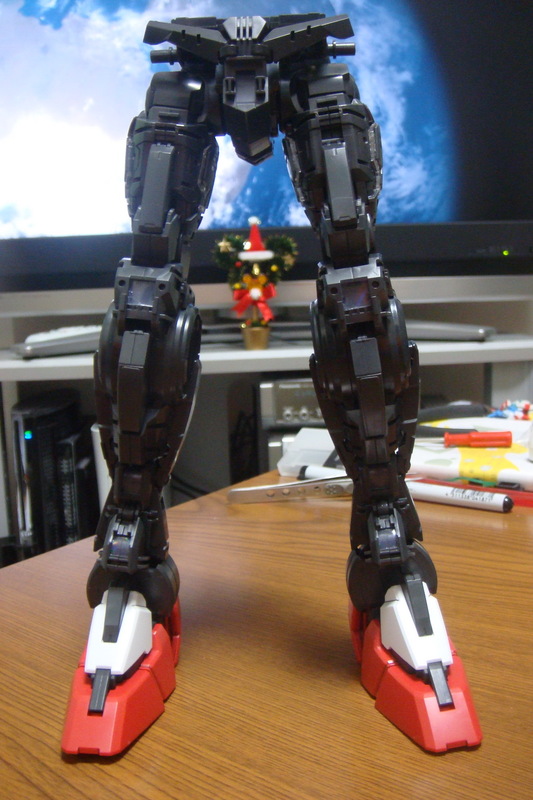 The almost completed legs, sans GN Condenser in the knees. 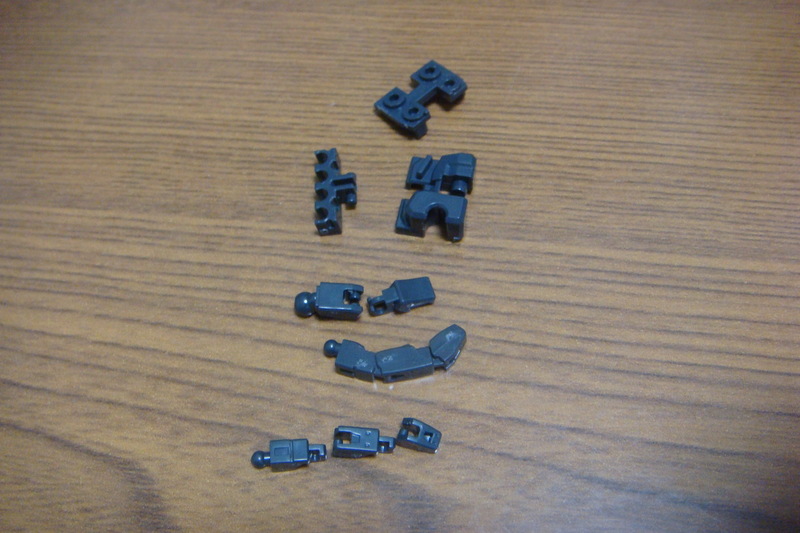 A brief interlude to complete the leg to waist connectors. 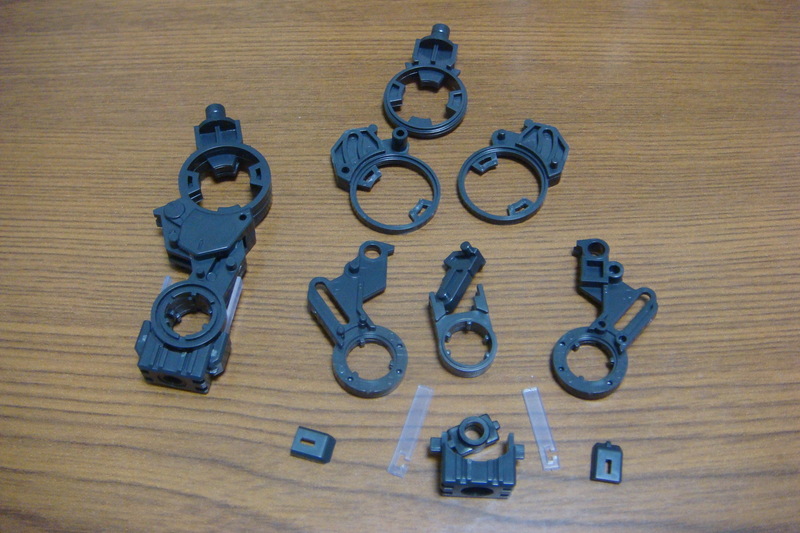 The clamps seen here are used to “hold” the condenser in I believe. The final tidbits for the leg. Completed leg from the side. Completed leg from the front. 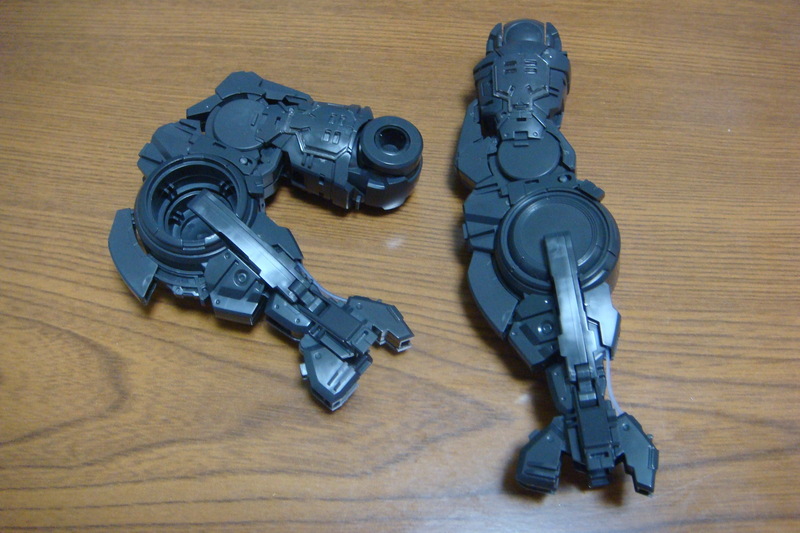 Overall the legs feel to be a sturdy build, and when building, you certainly get the feeling that you are adding “layer” after “layer” to parts, rather than just having on giant part pre-fabricated for you. 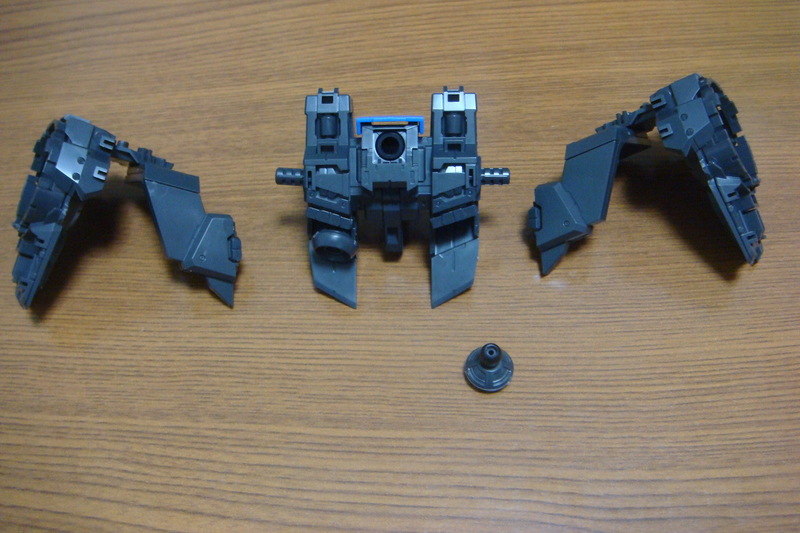 Again, the upper thigh clicks into place, making it sturdy, and a little hard to actually move without putting some power into it. That’s actually kind of scary to do, but unlike a 1/144, or even 1/100, you can get away with some power without risking a major break. At least, I hope so. While we’re at it, we might as well knock out the waist. 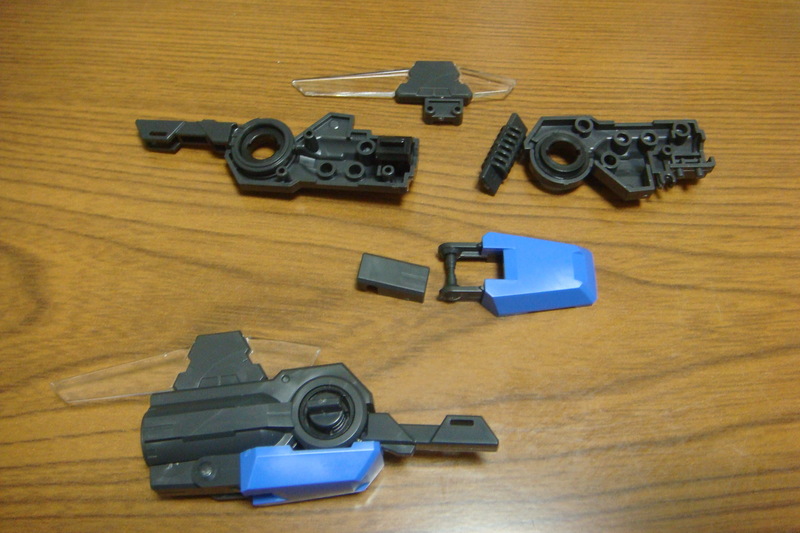 I believe this was mentioned elsewhere, but the 0 Raiser is the first PG kit to not come with die cast parts for the waist, or any at all. This was kind of worrisome, considering that if the waist can’t handle balance and weight, well, you’re stuck with a model that either can’t stand or can’t pose. 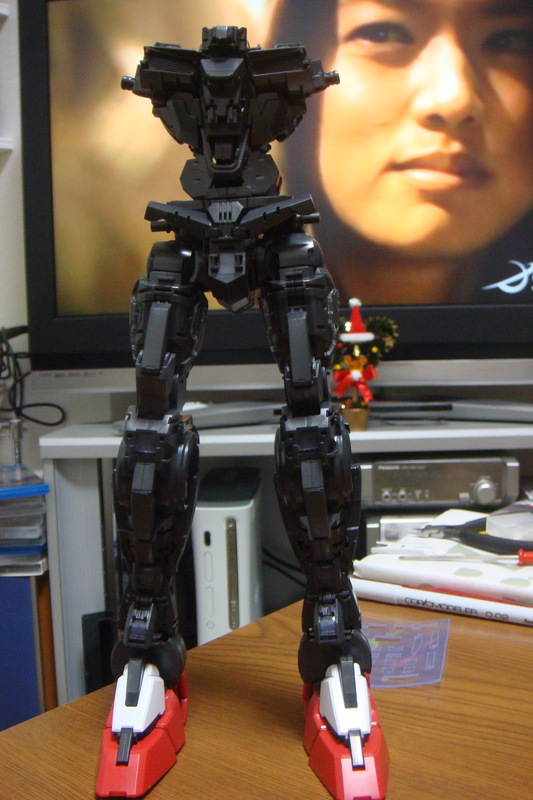 A fairly simple build however, with movable part to adjust height for the leg joint. 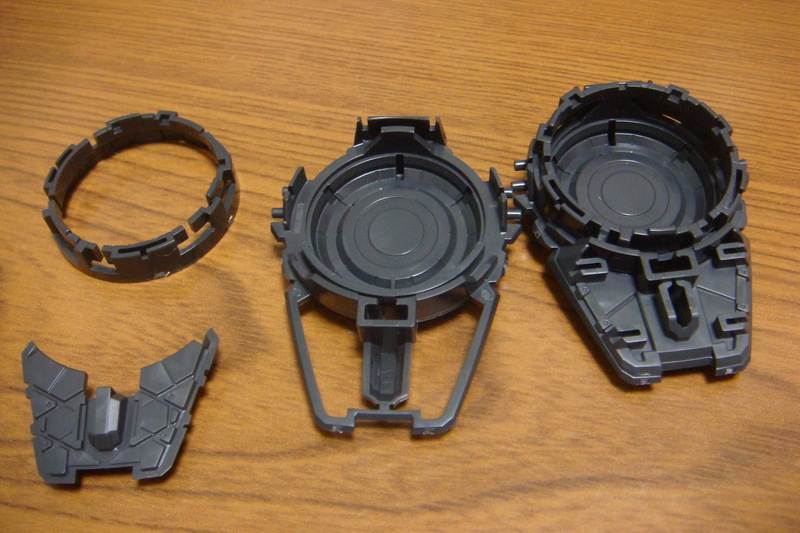 Which is locked by a piece of plastic up front. Then just add front and back parts. And you get a fairly simplistic waist. 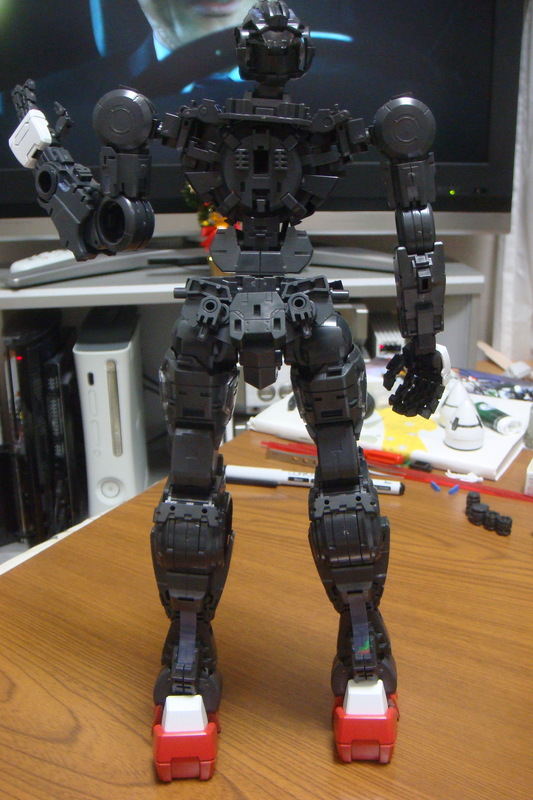 And the inner frame is done from the waist down. Looks to have no problems kneeling at this point. 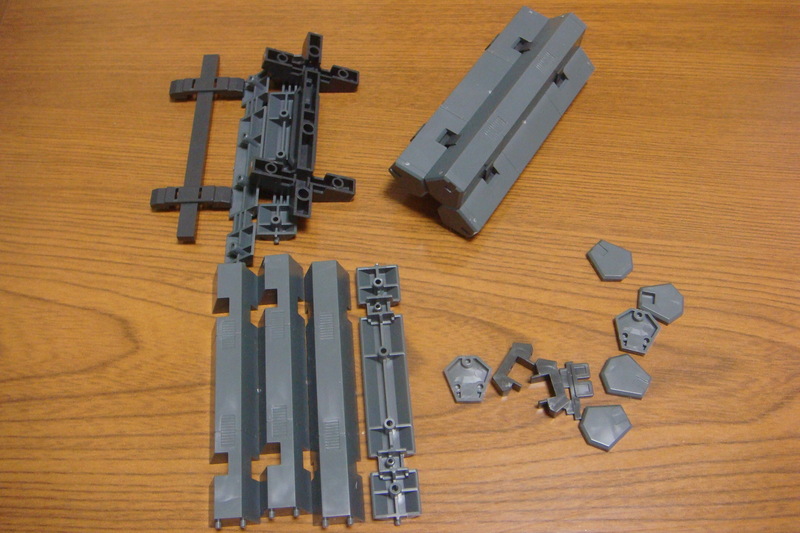 I need to go back to finish the knee GN condensers, but overall the build so far has been fairly easy, I’m not really worrying about sprue damage on the inner armor as you won’t be seeing it. 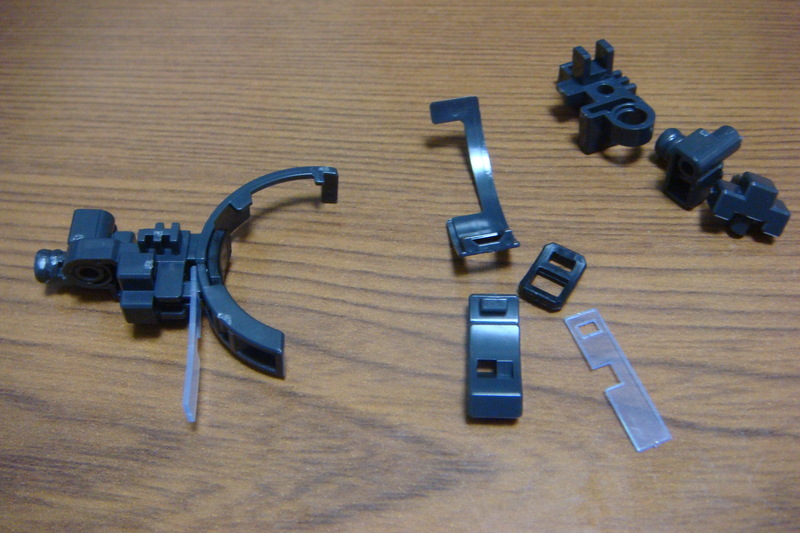 I’m most likely not going to order the clear parts, or if I do I may pass them on to someone who buys the kit outside of Japan and can’t get the parts. There are quite a few hologram strips to stick in, and they fit for the most part ok, but you may want tweezers or something similar to help you poke them into the crevices where they are supposed to go. 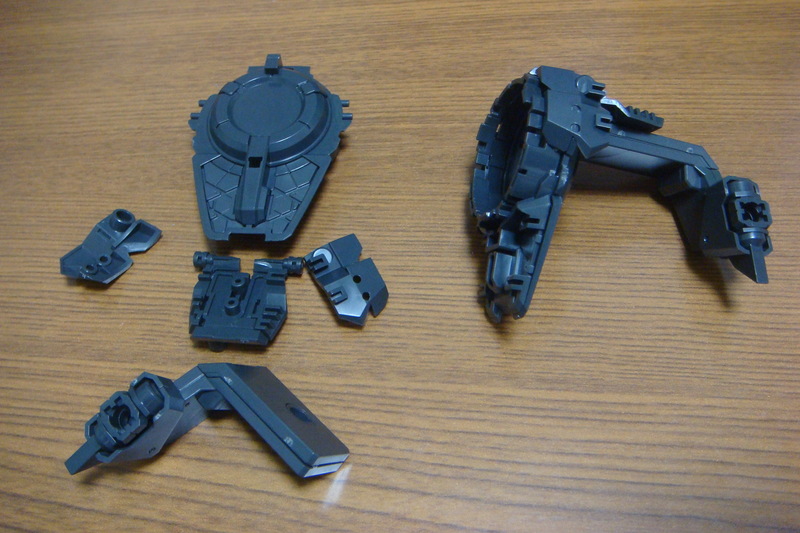 Again, movement is really good, but that’s without the bulkier outer armor so we’ll see how that changes. In the next post or two I’ll forge ahead and knock out the torso, head, and arms. 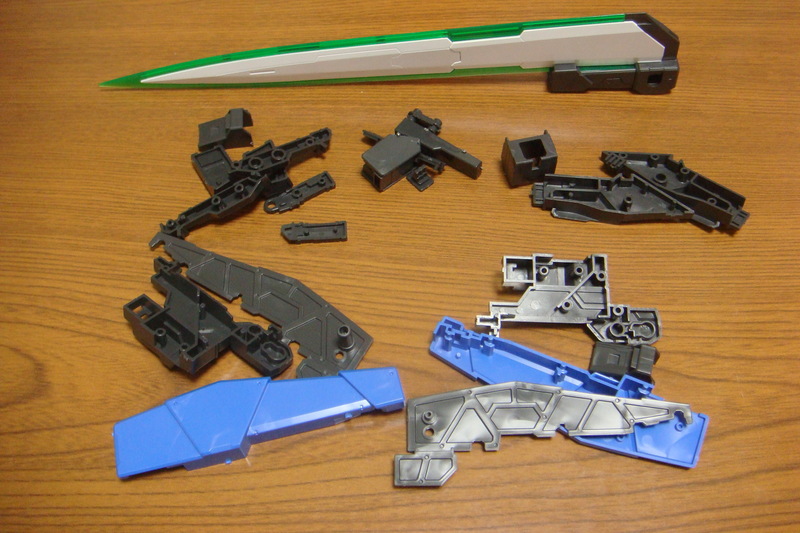 So with Box B (0 Raiser and GN Sword III) done and out of the way, it’s time to dig into the meat of this kit, the slightly bigger, and definitely coming with more runners, Box A. 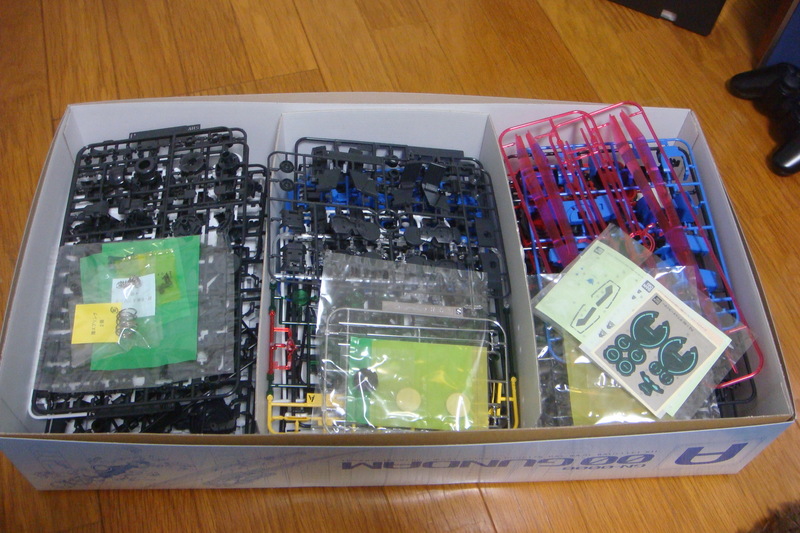 Box A holds the parts for the 00 Gundam along with the GN Sword II weaponry and seals and so on. Taken out of the bags and ready to snip. First up, the shield/dagger combo, which lets you slide both the shield up and the blade out. Connect the two together to make the shield. I’m not a big fan of this shield style in general, but it gets the job done. 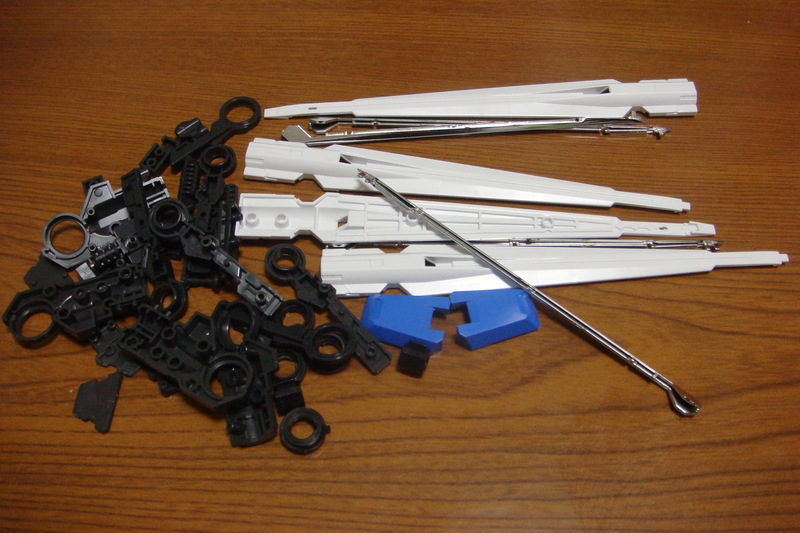 Next up, the parts to make the GN Sword II’s. Making the grip, which I actually really like, since you can hold it gun style or sword style. 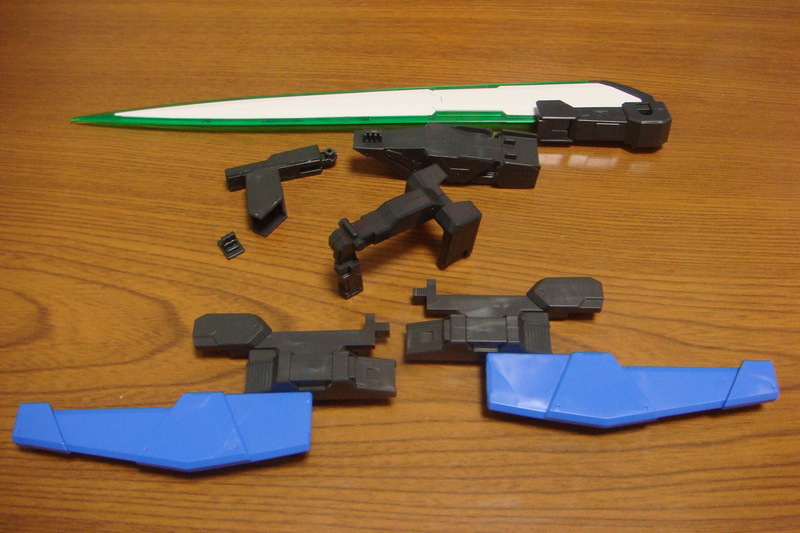 And making the blade, which looks cooler than the GN Sword III, in my opinion. 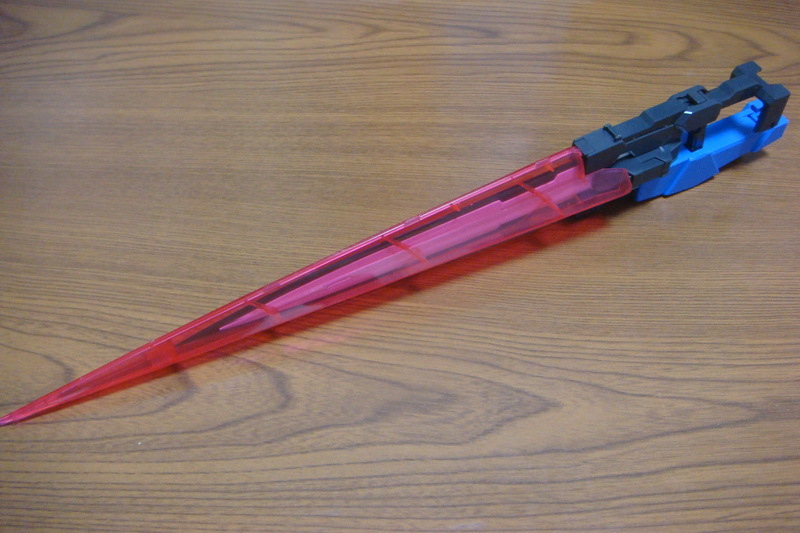 The GN Sword II also feature beam saber effects. 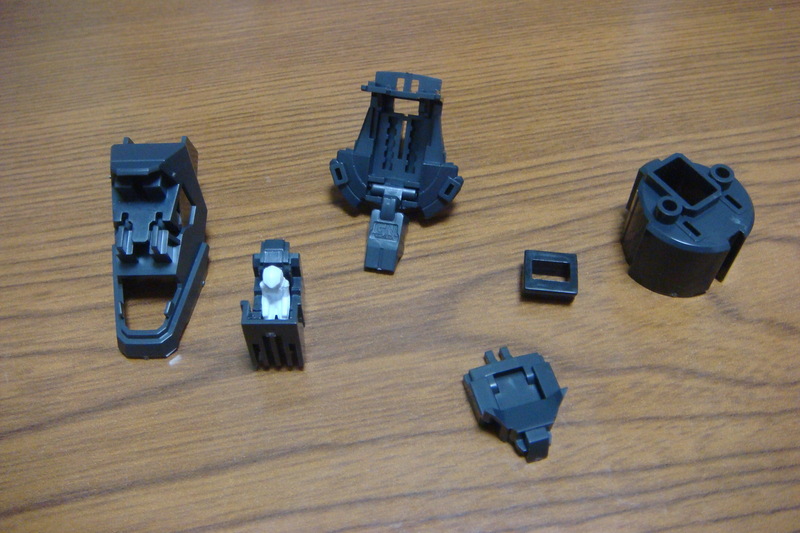 But the neat thing is you can connect them. For a length that doesn’t quite fit in the picture! 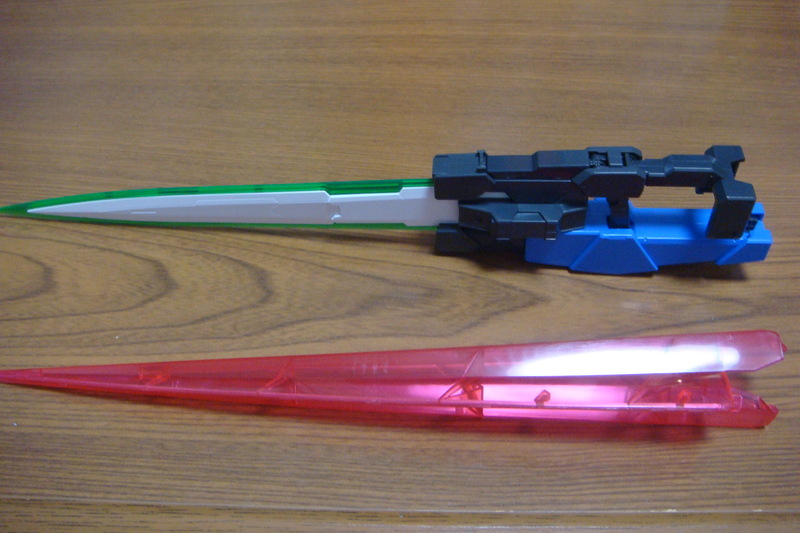 In a way, I’m more impressed by the GN Sword IIs than I am by the GN Sword III. 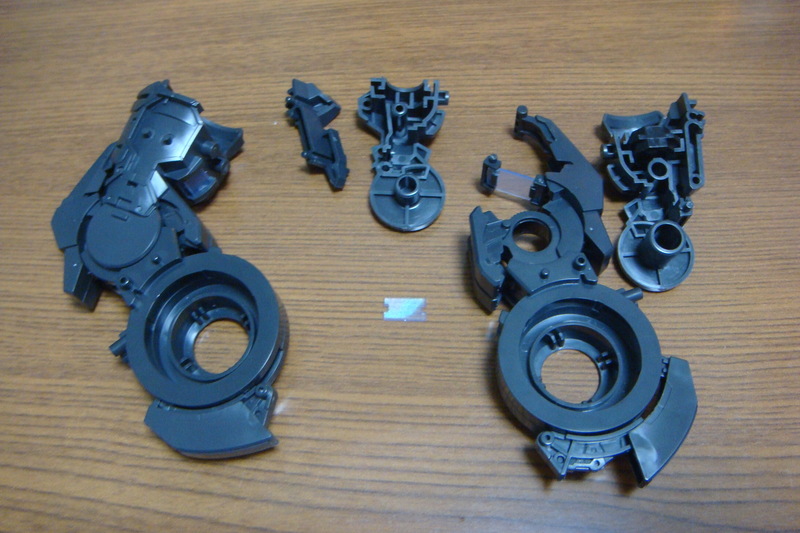 Unlike the PG Astray or MG Exia, Bandai did the silver plated parts in an undergate style, which means there are no obvious snip marks to mar the visible parts of the pieces. 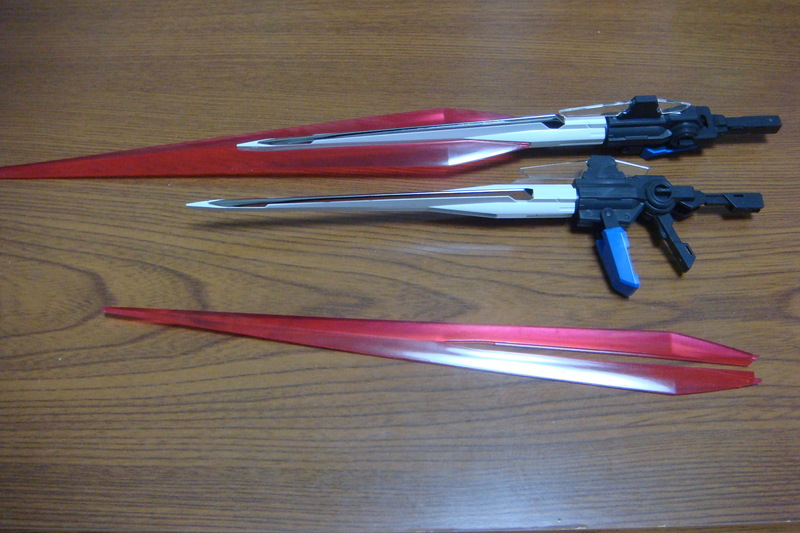 Add in the fact that you can connect these two swords together (Similar to how Sinanju can connect it’s beam axe/saber things), then that’s double the fun and length, and makes it longer than the GN Sword III. You get an idea with the above picture. 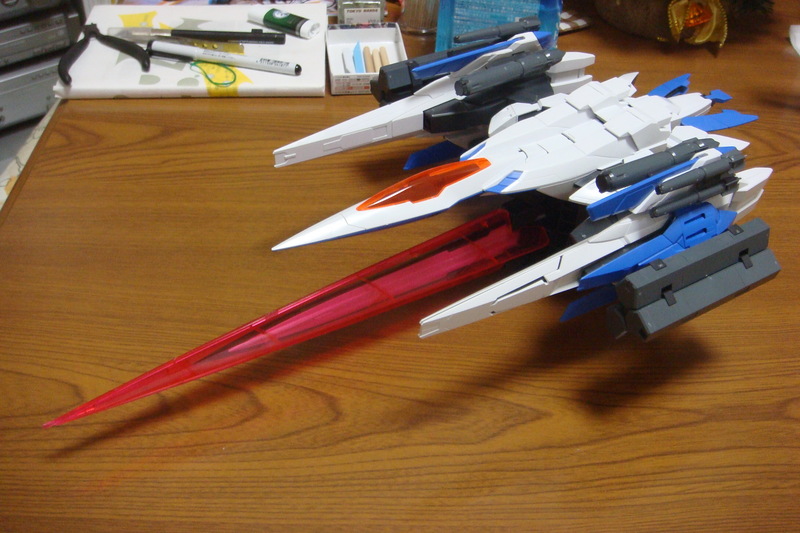 With the weapons now completely done, there’s nothing left but the Gundam itself. Time to finally get started on it! 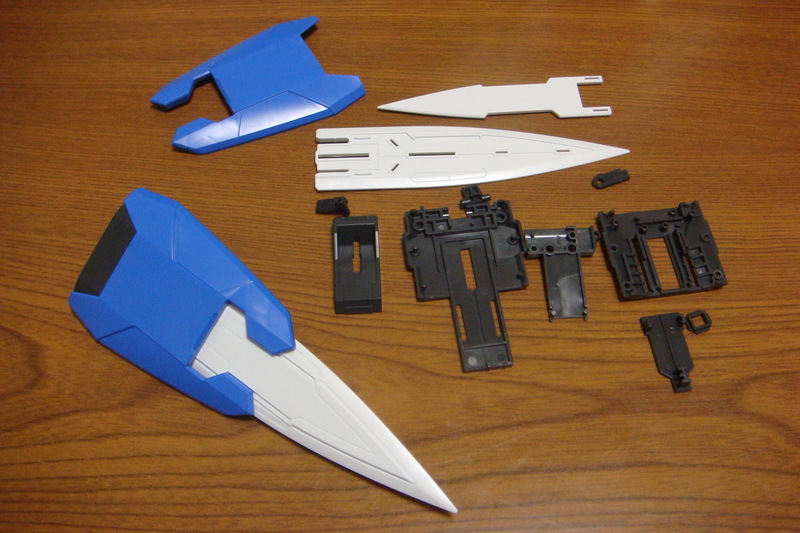 After finishing up the 00 Raiser, we move on to the weapons for it specifically and the GN Sword III which will finish out all the runners in the 00 Raiser box. I sort of rushed through these just to get them snipped out and put together, so I’ll probably have to go back in and do some touch up with a grey marker or pen to clean up on the weapons. 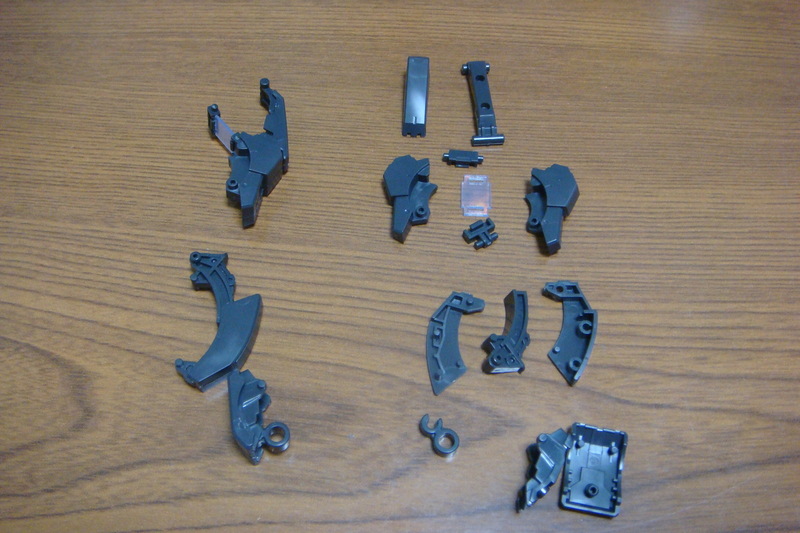 One of the downsides of a Perfect Grade kit is the fact that some pieces are connected to the runner by fairly thick nubs, so that leaves pretty big, and noticeable scars. 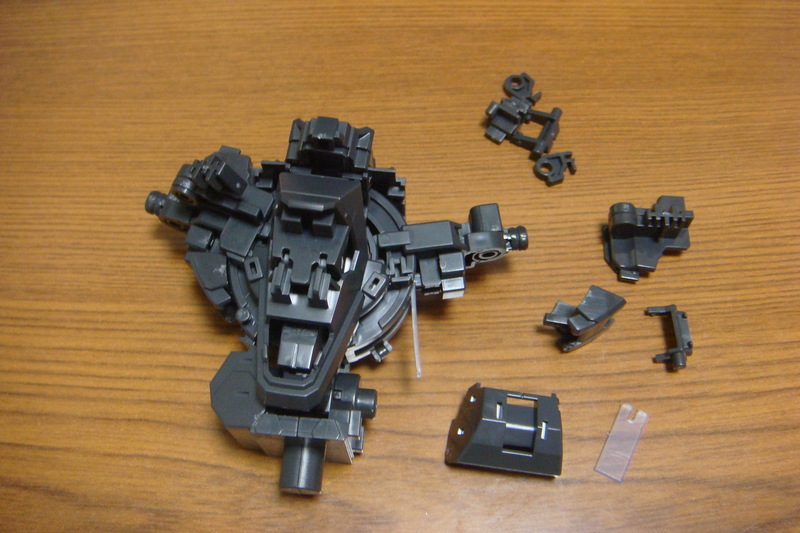 Again, it amazes me that while Bandai can do undergating and smart engineering on runners, they simply can’t be bothered to actually implement it. 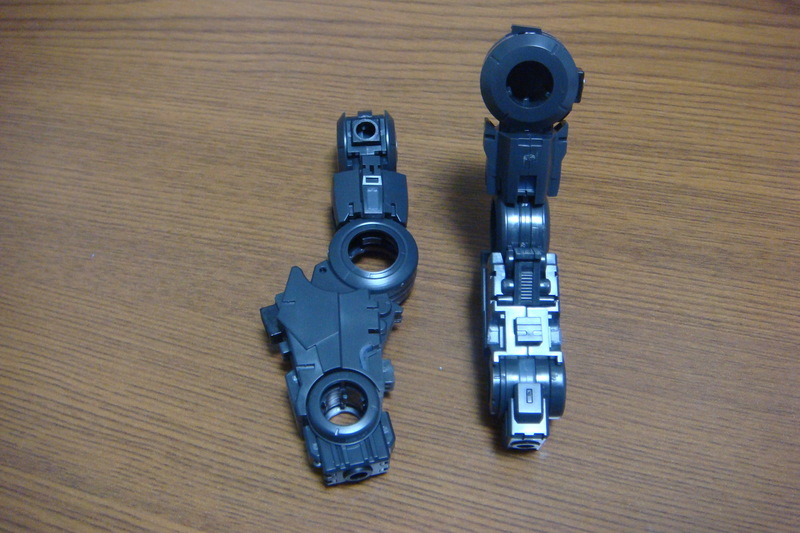 Anyways, the weapons consist mainly of small and big GN Missiles, a couple of GN Condensers, and a couple of Missile Holders for the 00 Raiser itself. 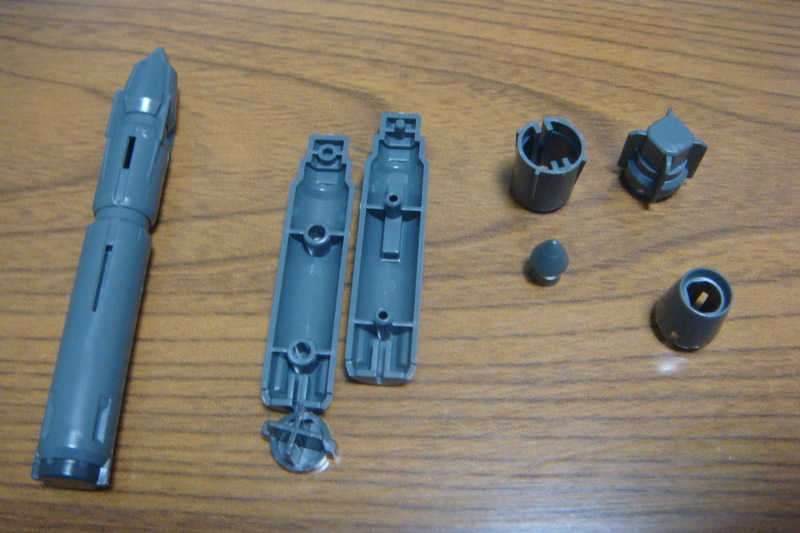 The regular GN Missiles of which there are 8 that are attached in clumps of two. A couple of bigger ones. The bulkier packs, which I can’t remember the name of off the top of my head. 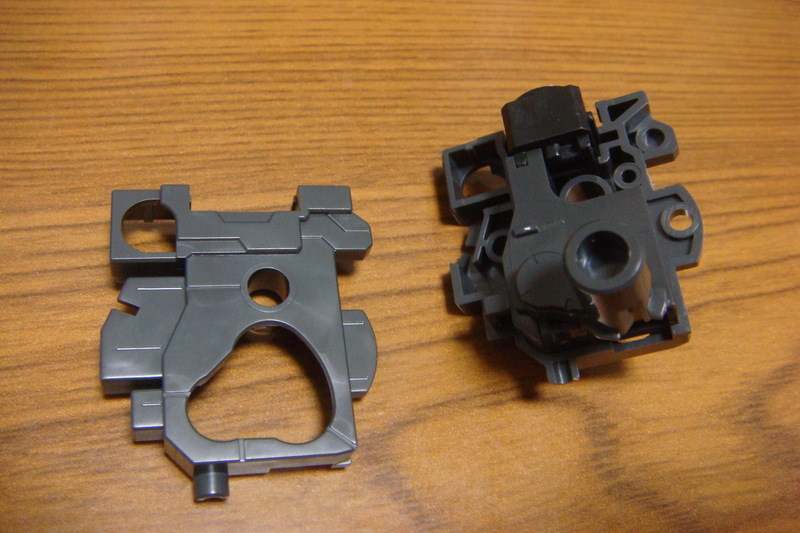 And lastly the GN condensers, which don’t have any function, unlike the ones on the mobile suit. 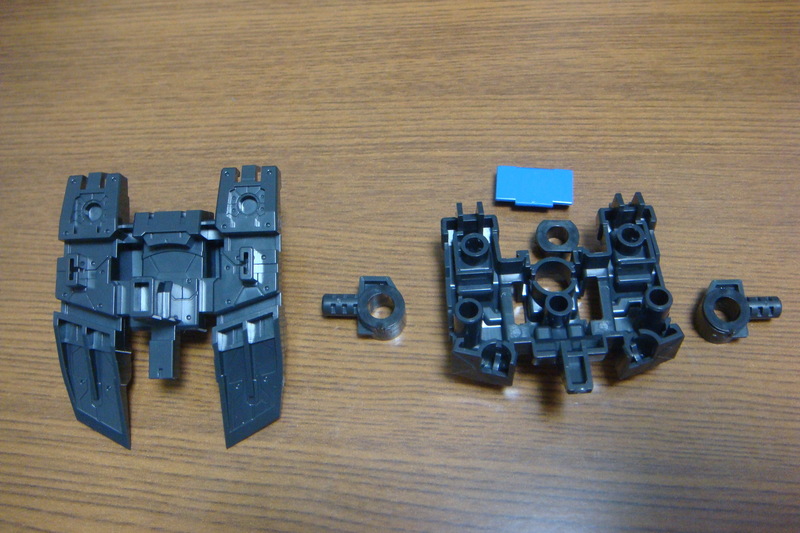 These all attach to the Sidebinders, giving the 00 Raiser an even bulkier look. 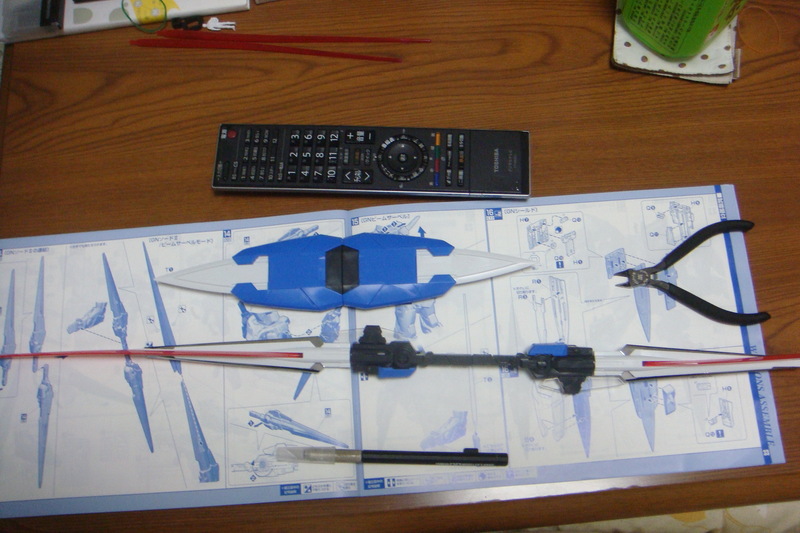 Moving on to the GN Sword III. 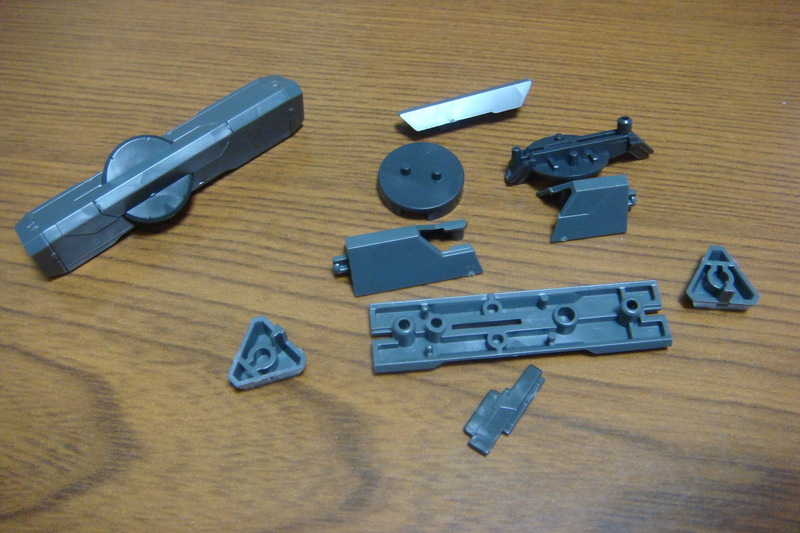 All the parts needed to put the grip together. All ready to put the grip together. 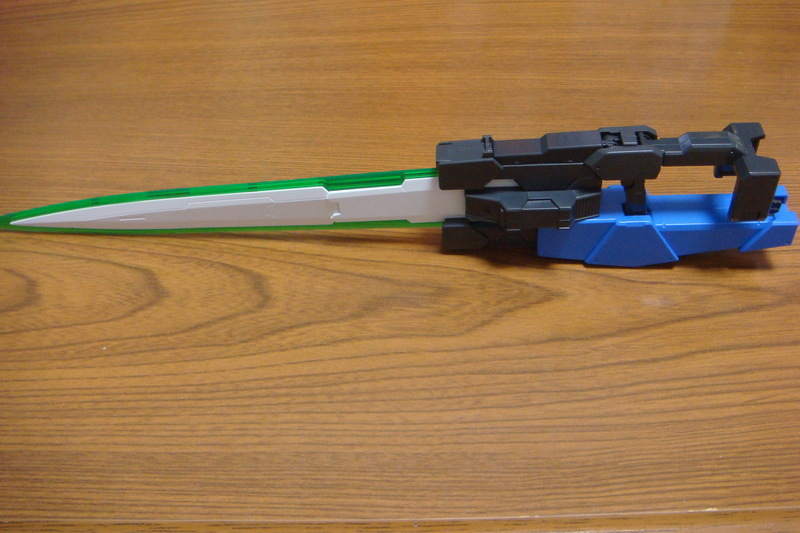 Comes with a sheath of sorts to attach which apparently then makes it the GN Raiser Sword? I’m losing track here now, hah. So putting it on makes it even longer, of course. 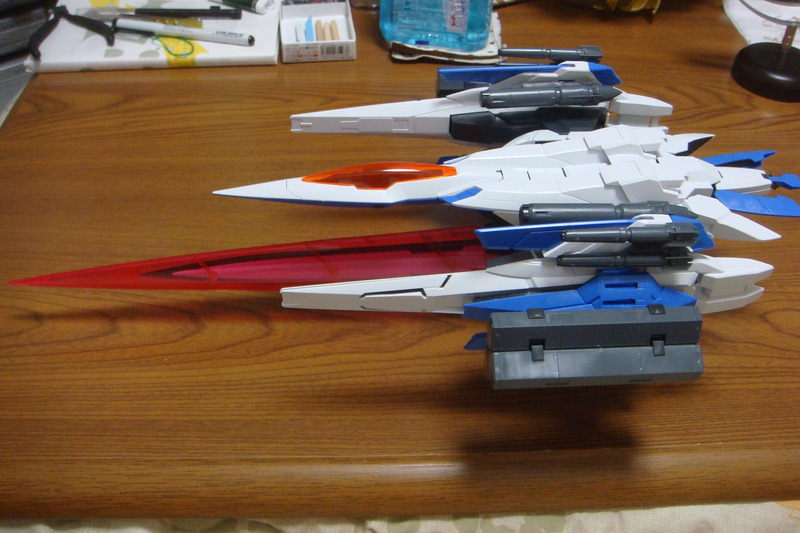 In the end, the weaponry for the 00 Raiser is again bland, but that’s what it comes with. 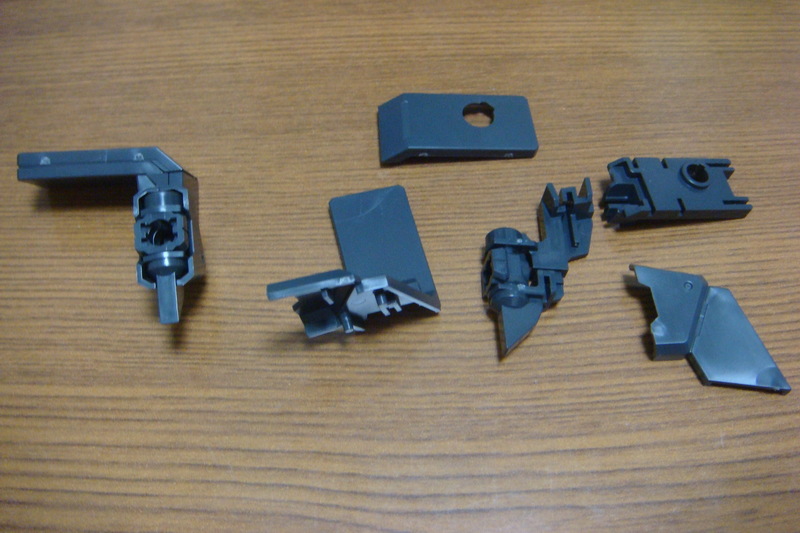 For those who will be keeping their Raiser attached to the Gundam, you may not even want to bother putting them together. 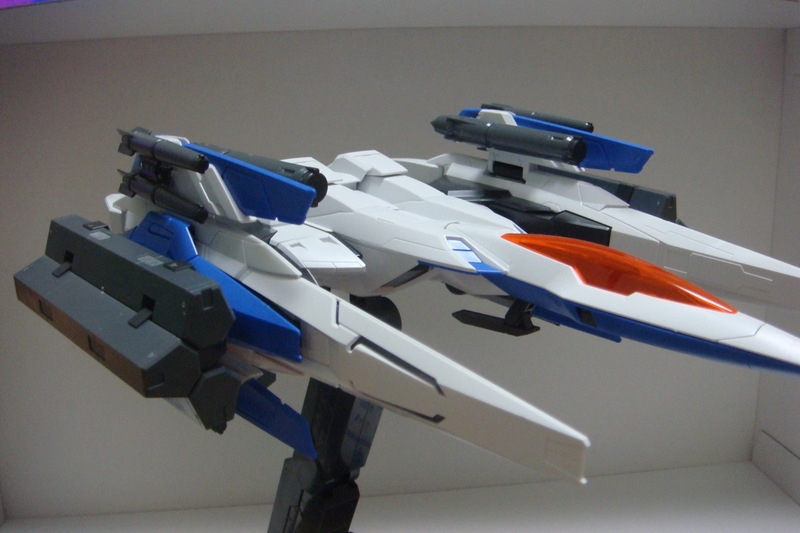 One other thing to note is that the 00 Raiser is somewhat unstable on the stand, and I’ve had it tip over a couple of times. The piece just doesn’t really seem to “grab and hold” as well as I would like. So, all in all, the 00 Raiser is bland, and so so in my book, but again the draw isn’t the 00 Raiser, but the Gundam itself. 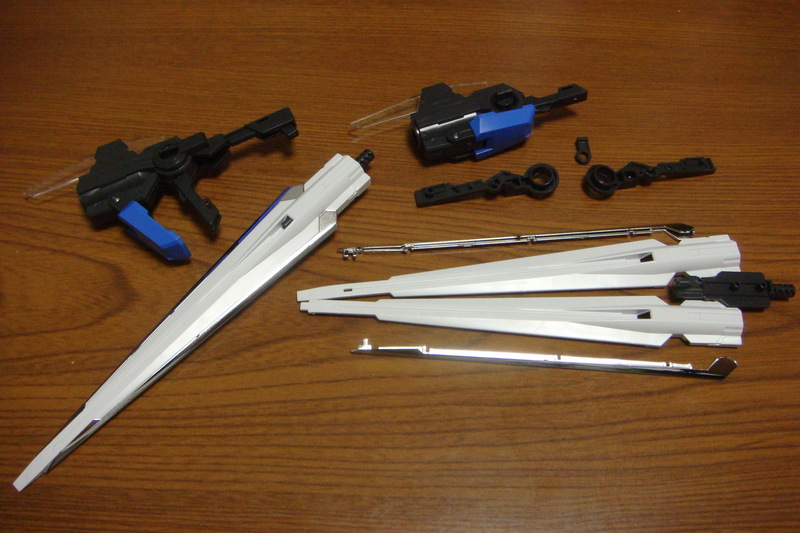 Overall on time, I’m clocking in around 6 hours to complete the 00 Raiser with weaponry, but I will admit that I did a lot of this while watching TV and what not, so if you were to really sit down and have at it, I would imagine you could breeze through the kit in 4 hours or so. 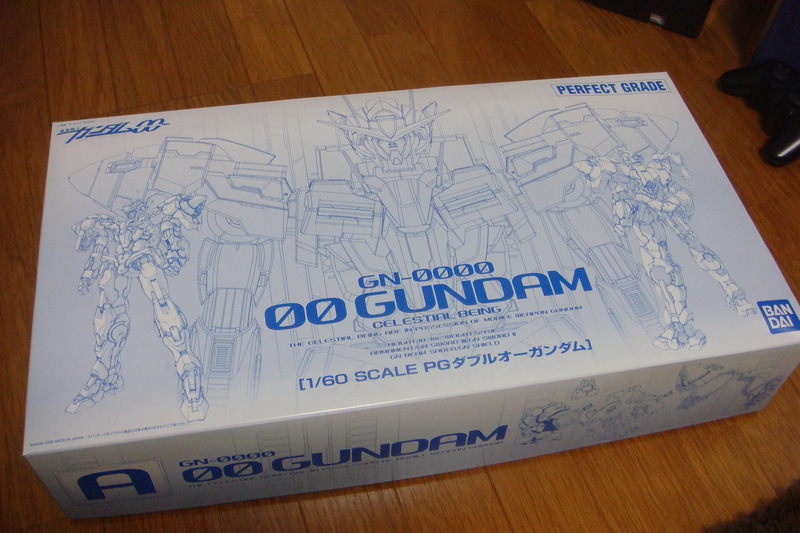 Next post we’ll be finally moving on to the main attraction, the 00 Gundam!